Il Best Western Motherwell Centre Moorings Hotel è situato nel centro di Motherwell. L'hotel è vicino alle principali attrazioni turistiche. Approfittate tutto l'anno del miglior prezzo garantito e di offerte esclusive. Great Hotel, Great Staff, good food. Quite Room. Short Taxi ride to Railway Station. Handy for a stopover on way to Western Scotland, and returning home. Would be pleased to use again. I also use Best Western in Europe. 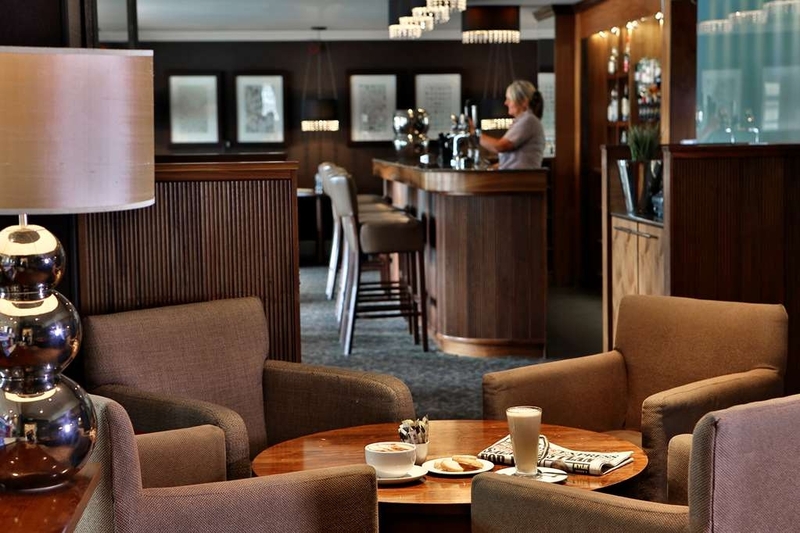 "Lovely hotel, great staff & welcoming"
Stay here regularly with work. The staff are always professional, welcoming & nothing is to much trouble. The decor is tastefully done, both in communal and bedrooms. 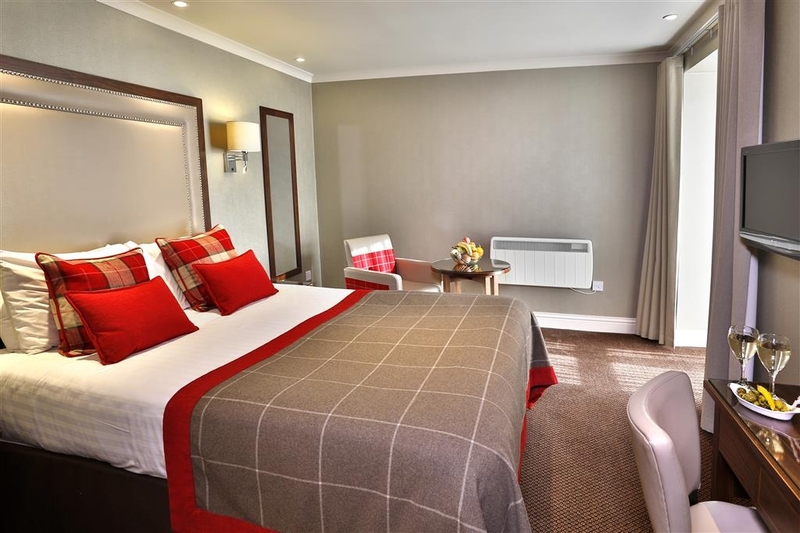 Nice touches in the bedrooms such as checked and tartan furnishings, add a cosy feeling. Nice menu and food has always been good. Also do room service which is great when working away & you just feel like chilling out in your room. Strathclyde park is a short walk away. Genuinely no negative comments whatsoever. Excellent value for money, always my first choice when needing to stay in the Motherwell area. I'm a regular visitor to The Moorings in Motherwell and have been staying nearly every month for the past 3 years. The reason I'm posting today is that the lamb they served last night was melt in the mouth delicious. So good I ordered it again tonight. Best food I've had at a hotel in a very very long time. Friendly team, classy decor and an overall lovely experience. "Brilliant hotel and great food"
Got a last minute dinner bed and breakfast deal so did not know what to expect - we need not had worried. The hotel is great - the only thing I could say was that we got a twin room rather than a double but as it was a last minute deal it was fine. The food, staff and hotel are great. Will definitely be back. Non-resident, but we do eat in the Bar & Grill from time to time. Ate there last Sunday and we both chose from the ‘Chef's Alternatives'. Best food we've eaten in the Moorings. Great flavours, well-balanced, beautifully presented. A bit of imagination and flair applied to good ingredients. Much enjoyed. I love this hotel it's beautiful. I first stayed about 18 years ago and it was amazing then and still is. Lovely room, Clean, comfortable. The food is great too. All in all a fab hotel. Well worth a visit. "Excellent service - nice place "
I stayed here on business. The staff were excellent - helpful and friendly. The room was fine but very warm in the hot weather. Bed was very comfortable. Breakfast was decidedly average (I didn't have anything cooked though). My work takes me all over the country but I always look forward to my trips to Scotland because I get to stay in what has become my favourite hotel! The service from the moment you walk into this hotel from the always smiling, polite reception team and then into the restaurant. The front of house team, especially Joanne, Amy, Chris and Elaine at breakfast, are pleasant and always helpful and make my business trips just that much more pleasurable and the icing on the cake is Angie, the Assistant Manager, who holds it all together effortlessly and with true professionalism - an asset to Best Western! "A lovely hotel to break up a long journey going home from the holidays up in the North of Scotland." Staff made us very welcome and our room which was number 10, was definitely comfortable, we had a meal in the room and very well presented and we slept well. Breakfast porridge wasn't very well cooked we had to leave it, but the cooked breakfast was very good. Staff were helpful and courteous. The manager G. Brown is very polite and I think my assistance dog likes him! We last stayed in 2016 so overall very happy to see service with a smile is continued. "Friendly staff and lovely stay"
Having stayed at the hotel during a family visit we found the hotel clean, food good, and the staff both helpful and friendly. At breakfast, Elaine was really considerate, and contributed to an overall excellent stay. "Food could be better for the price"
My wide and I along with two of the kids dropped in without a reservation today. We are soon to move to the area so thought we would try lunch in what could possibly be our local. 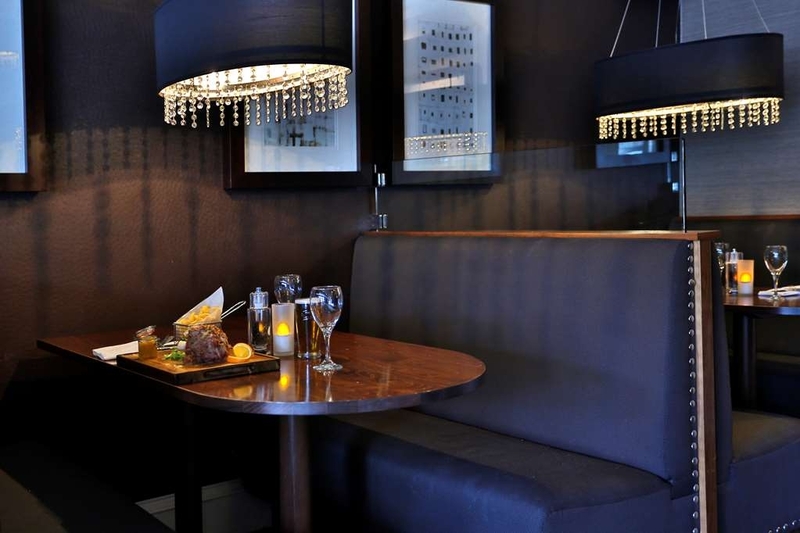 The building and its interior are beautiful and the restaurant and bar a very tastefully decorated and presented. The staff were welcoming and attentive and we were quickly seated and provided menus and info on the soup of the day. I started with a old fave prawn cocktail which although tasty, the prawns were slightly hard and rubbery meaning that they were obviously low quality defrosted frozen shrimp/prawns. There was also no brown bread and butter that traditionally accompanies this 70's classic. My wide chose the carrot and coriander soup that came with a huge swirl of cream through it which totally killed off the flavour of the soup. Not sure if this is the standard serving or just a heavy handed slip up. The bread roll to accompany the soup was one of those part baked, stick in the oven jobs and was under baked and rather doughy. The kids skipped starters so we were then quickly served with our main courses. I chose the steak frites and for the £12.95 price tag, the piece of steak was a joke. About 4 or 5 inches in diameter, 1/4 inch thick and cooked as dry as a stick. The fries were OK but MacDonald's are better for a fraction of the price. All accompanied by a grilled tomato and a few mushrooms. Not totally inedible but a slightly thicker steak would have more chance of staying juicy. The pepper sauce was nice. My daughter had the gammon steak and it was nicely cooked and moist. Her boyfriend had the cheeseburger and while there was a mistake in the order and delay serving it, he said it was very nice. My wife had a Pan Fried Steak Strips Sandwich with Onions & mushrooms topped with emmental cheese on toasted ciabatta. While it was tasty, it was very, very dry and needs way more moisture to combat the very dry ciabatta bread The cheese became very dry once it started to harden and there was not enough of the onion to keep it moist. All but my main came with hand cut chips and salad. Overall, the service was very good even in dealing with the order issue and the delay but the standard of the food on offers fall short of what you would expect for this standard of establishment and these prices. Easy fixes if they listen to feedback. As you would expect, modern decor, comfy bed and lovely bathroom. Clean, fresh and attractive room with tea and coffee facilities, TV and free WiFi available in the room. We only stayed the night and checked in late afternoon and left early morning so was just a bed for the night, saying that, it was a comfortable night. We didn't have breakfast so cannot comment. 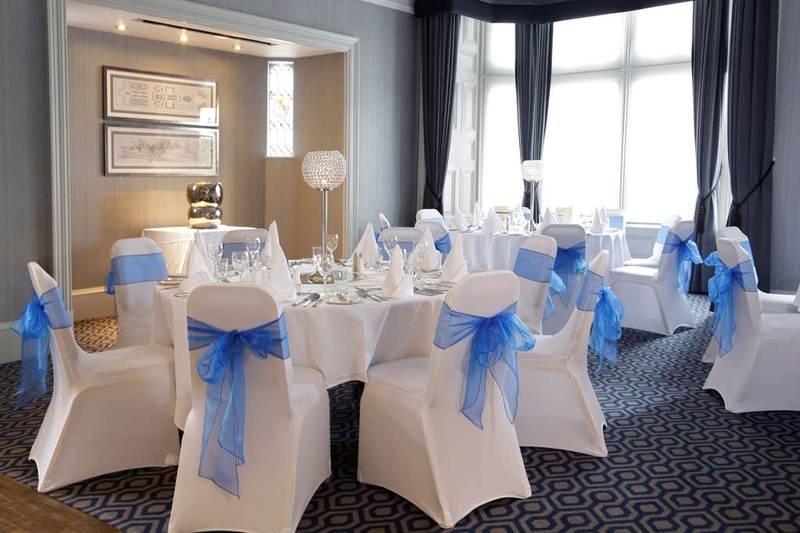 We chose the Moorings Hotel as the venue for a lunch reception following our wedding for around 50 guests. The service from start to finish was wonderful. The manager, Gordon, was so helpful and attentive throughout the whole process and on hand whenever we had an enquiry. On the day itself he organised everything: taking orders, showing guests to their seats and managing a very efficient team of staff. 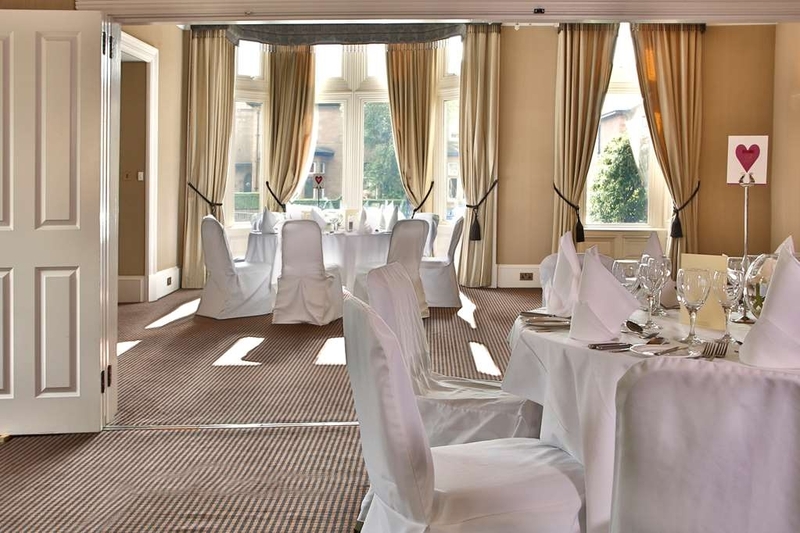 The function room itself is beautiful and the perfect size for a smaller event (maximum capacity is 60 guests). The food was delicious, especially for a large group, and the portion sizes were generous. We would not hesitate to recommend the Moorings for a similar event. The food and service made our day extra special and all for a very reasonable price. Thank you! "Very good, very warming local friendly service." This hotel is only a 8 minute walk from the railway station. I found the staff very warming, helpful and polite from the time I arrived until the time I left. The rooms are spacious, modern and well maintained. I enjoyed my stay, thank you. We stayed at The Moorings for a trip down memory lane. Our trip was to enable me to meet up with school friends from forty four years ago, as we all attended Dalziel High School down the road. This is a lovely hotel. The room was spacious and well decorated. Our beds were very comfortable. All the staff were friendly and totally customer focused. Nothing is too much trouble for them. The food at breakfast was superb. There was a wide range of items on the breakfast menu. We had full Scottish most days and it was delicious. The evening menu is not vast, but the meals were delicious and well presented. On a hot evening, it is nice to sit out on the terrace and have a drink as you watch the world go by. On site parking was a bonus and very welcome, as we didn't use the car much. We will stay again when I am ready to launch my book. This hotel is a real gem in Motherwell. We stayed there for 4 nights and the hotel is very central for everything. Rooms very clean and tidy. My only issue was our room being on the top floor as we are older generation. I'm sure if I asked we could have got another room - apart from that everything was really good and better than I expected. Breakfast was very tasty and evening meals were very good also. Not a vast menu but enough to give you a good choice. Staff are amazing at this hotel - always a ready smile and willing to do anything to help. Would definitely recommend this hotel to anyone. We received some vouchers as a gift for the Moorings restaurant so decided to use them for my birthday dinner. The menu does not have much choice. We both had the steak pie which was superb. The chips were delicious. Overall we really enjoyed our visit and would certainly return. Our 4th stay at the Moorings Hotel in Motherwell. Close to where we needed to be. Room was nice, standard Moorings room had all the usual features. Paid £80 a night room only. Food and drinks expensive, house wine £7.50 a large glass. Don't spend your well earned cash there, Wetherspoons is a short walk away and Heineken was £2.89 a pint. Nice hotel but drinks expensive, friendly staff. This is a lovely hotel. The rooms are really clean and comfortable and the staff are friendly and welcoming. We did not have breakfast, so I can't comment but the dining room itself looked immaculate. We would definitely stay here again, as we visit Motherwell every year. "Another fantastic stay at this friendly hotel." We stayed for 3 nights as my relations live in Motherwell. I phoned up the day before to ask if they could buy in square sliced sausage for our breakfast for the three mornings. No problem at all they said. I had asked for this last year when we came up and they did it for me then too. All the staff are friendly and helpful. We had evening meals there too with my relations, very good meal. Look forward to coming back next year. You will not be disappointed booking into this hotel. They know me as Adams. Stayed in the hotel last night. 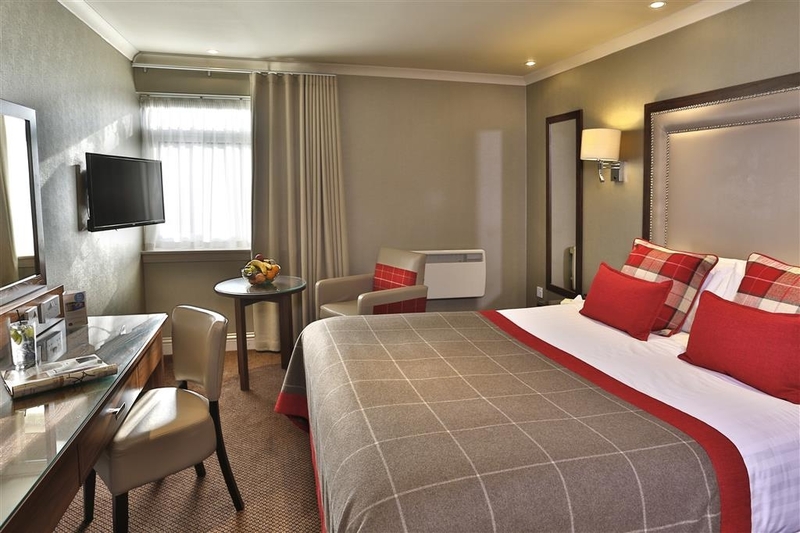 Staff were very friendly and accommodating, hotel was lovely and the room was veey comfortable. The hotel was immaculately clean. Breakfast was delicious with plenty of choice and variety. I always stay at The Moorings when in Motherwell on business. I alsway find the staff very welcoming and friendly and go out of their way to make your stay comfortable. The rooms I have stayed in are always clean and the beds very comfy. I have stayed at this hotel a couple of times with work now. On both occaisions I have found the hotel to be excellent. The rooms are spacious and clean. The staff are very friendly. Breakfast is good. The WIFI is also very good which is an added bonus. The hotel is very central to Motherwell to if you want to walk into town. The bed was very comfy I had a good nights sleep. 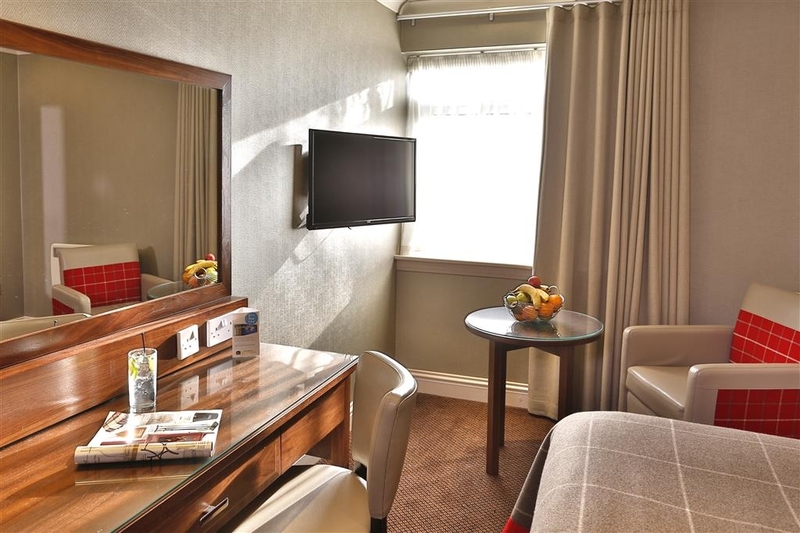 Hotel is nicely located within 5 minute walk to town centre. A lack of fridge and microwave make a long stay inconvient, I have to watch my diet so I couldn't buy enough produce to last a week as I had no place to warm it up or keep a salad fresh. My wife and I had a one night stay over at The Moorings in order to meet up with friends from Aberdeen who were staying for 2 nights.Our twin bedded room overlooked the main road and although there was noise throughout the night it did not disturb my slumber.Room was nice enough and beds were comfortable with tea/coffee making facilities and a flat screen telly.In fact the only downsides were that the room was designed very darkly and the shower pressure was not great but overall I would struggle to fault it. Now the good points.The staff which also includes the Manager are excellent.We have eaten here before but only lunches so had a feeling it would be a good atmosphere in the evening and we were not disappointed.Service can not be faulted and the food is really good fayre served on warm plates. Our friends had a dog as the hotel is canine friendly and they enjoyed themselves as well. "What a amazing stay !!!!" I never really leave reviews; however, I feel that this hotel deserves one. From the Check in on the Sunday night which was stress less and the lady who checked us in on the 28th January at 9pm was so warming, welcoming and lovely. We were made to feel at home right away. The hotel was immaculate, smelt clean and was inviting. The room I stayed in which was 23 was brill. The bed was so comfortable the room was relaxing, modern with a wee Scottish twist. I loved everything in this room and for the week I stayed here I had no reason to miss anything. The room was cleaned lovely each day and the lady who cleaned our room was so friendly when we met her at breakfast. The restaurant had lovely food and the waitresses where fab! I cannot praise this hotel enough !!!! The Star of the week was Elaine from the breakfast in the morning who made our day each day. so, friendly efficient and lovely. The Moorings don't only have a fabulous hotel they have top notch staff!!! Thank you so much for a superb stay. First time at this hotel and was pleasantly surprised, very warm welcome and quick efficient check in. Room 31 at the top of the hotel, very spacious and very clean if a bit dated, everything you need in the room and tv and WiFi. Nice restaurant on the ground floor and prices are reasonable enough, good food served quite quickly by very friendly staff. Breakfast is served at the table for you and once again, food was very good. Would recommend and will use again in the future. "Nice hotel shame about the bed and some function restaurant staff"
Over night stay after a birthday meal. Room fifteen was very spacious, good bathroom and appeared clean, until bed moved when I sat on it and revealed a not so clean floor, half eaten biscuit and a lot of mess. Over all room clean well decorated and light. The bed well the bed what can I say, the worst bed I have ever had the misfortune to spend a night in. It is the worst mattress I have had the pleasure of introducing my not so young hips to, felt like a nights wild camping on a rocky plateau. Hence no sleep at all. The over all appearance of the hotel is good modern but with a hint of traditional a nice area to relax. The birthday meal was a bit of a let down, the chosen chicken dish for the set menu we choose was dry and quite a few were very difficult to chew. All guests that had it left over half of the chicken. Other dishes were good and well presented. The major factor in only a three star score was the staff. The evening meal staff most were good, but not attentive to the table of guests totalling 17, a shame as it was a special occasion, two of the staff were very very good and took care of our guests the others looked lost in what they were doing which was setting tables up or moving things about, hence guests needs were missed. Breakfast was an experience, again staff issues were the major let down, the restaurant supervisor could do with some lessons in how to ensure customers needs come first. Things like sitting waiting for ten minutes and not knowing if we order beverage or get it ourselves, things arriving and being placed on the table and no interaction from staff. Just lacking in realising that guests pay the wage not the table that needs set up for some one else that doesn't actually turn up. Poor poor service and a major let down for the hotel. I could go on with a lot more observed issues in the breakfast service, but I won't. Apart from does the supervisor ever smile or interact with staff in a positive friendly way as it looked like a grumpy little bear that needed to go back into hibernation. Not good. Somewhere in the hall ways around room fifteen was a very noisy door that got banged a lot, thankfully with getting no sleep in the so called bed it didn't wake me up, but by the cringe it was annoying, I will let you imagine the word I was going to put before annoying but not allowed to, I was not only guest to mention this another party were woken by cleaning staff at 7 00 am and was not best pleased. Over all we were going to use as a base for further family get together but for the price paid over all no a cat in hells chance. Reception staff made up for the function restaurant staff!!!! Used this as a base to visit a nearby restaurant. The Staff were helpful, friendly, and very attentive. the décor was nice and room was finished attractively. this place ticked all the boxes for me. I would definitely visit again I thoroughly enjoyed my night here and would recommend to anyone. Stayed overnight after attending a friend's birthday party at the hotel (which was excellently hosted by the hotel). The staff are so friendly and helpful, everyone seemed genuinely interested in guests and nothing was too much trouble. The room was spacious and very clean, bed was great too. Breakfast very good, lots of choice and well cooked, served by lovely staff for whom my husband's gluten free requirements were no trouble. We'd definitely recommend the hotel and hope to stay there again. "Good experience and Good value"
Came here for an initial one night stay to attend a business meeting the next day and we were pleasantly surprised how good this Hotel was. The staff were friendly but professional in their approach and their colleagues in the restaurant matched this just as well and gave us good advice on our choice of meals and wines, which were excellent. Our room was warm and comfortable and lacked nothing. 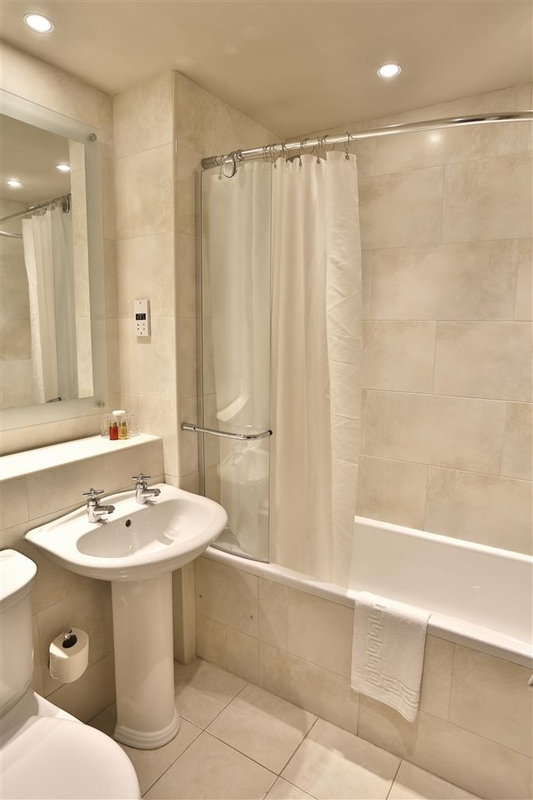 The design of the bathroom is a bit weird and perhaps a smaller hand-basin with ordinary taps would be a better proposition than the large round type used at present. As it turned out we needed to stay for another night to meet up with old friends just back from holiday and Reception (Suzanne) sorted that out brilliantly. Our meal later with our friends could not be faulted and as we are due to come back to the area in January it is a no-brainer where we will book to stay! Weekend rates are very good. Very good experience. Helpful and friendly staff. Good value for money. Food good quality. Overall environment clean and tidy. Good parking and access to M74. Will stay again as we visit the area on a regular basis. Just stayed overnight for a convention in Glasgow. Convenient for the train station, about a 5-10 minute walk. Not too far removed from Motherwell itself, amenities were within walking distance. The rooms were pleasantly spacious and a lot nicer than I expected for the price I paid. Would definitely recommend. "Great looking restaurant. Shame about the food"
Went to Sunday lunch . Ordered the Sunday roast beef and was given two thin chewy slices. Commented to waiter and even although he apologised I was given the impression that it was a regular event customers not being happy with there food. For nearly £15 is was not even worth half that price. It is such a shame as the restaurant looks lovely but now I know why there was only 2 other tables busy. Stayed here last night on the 20th of October as my friend and I were going to an engagement party in the nearby area. The room was absolutely lovely and was very clean! I had a good nights sleep and would definitely return again! Special mention must go to Sharon on the front desk, who was absolutely fantastic and so polite and friendly! A credit to the hotel! Our 3rd visit to this hotel, this time we stayed in the first floor in a lovely room overlooking the car park. The room is larger than those behind the bar. The room was nicely furnished. Please note a glass of house white wine is very expensive at this hotel over £6! Not a bad hotel , comfortable clean room, staff very friendly and helpful. What really naffed me off was the pint of Blackcurrant & WATER.. £2 this is extortionate for what is essentially WATER... Can't say I'm impressed..
this is a lovely hotel, very clean rooms and great staff on reception and restaurant, very pleased with overnight stay, good food, and while waiting for a taxi outside the front entrance the staff were all saying good morning on there way into work not really even knowing that I was a resident. The hotel phoned me prior to staying to tell me there was a function going on in the hotel the night I was due to stay and when they realised I was travelling with a child they moved my room to enable a good nights sleep, very impressed. The plus side... lovely building, nice rooms, good staff. Wifi very strong signal. Comfortable beds. On the minus side- shower in room, no pressure, no matter how much you adjust it it was hopeless. Room temperature was very erratic, woke up boiling hot, then it was freezing. Very odd. But the resteraunt was the biggest disappointment- very expensive, for what it is, starter, steak and chips and a couple of drinks-£30+ . Really? If the food was good then I wouldn't have minded, just made me feel ill, way too greasy. The steak was drowned in garlic, completely overwhelmed the taste of the steak, that's not mentioned on the menu. Starter, pakora haggis, could only taste grease, had to leave it. Breakfast was ok, but again, it's so rich and greasy it makes you feel a bit yuk afterwards. Shame really. It's slim pickings in that part of the world, so I guess the moorings will always have a steady stream of business. "Pet friendly easy to Edinburgh "
We had a lovely 3 night stay with our little dog at this hotel. Breakfast great, lots of options and cooked to order. Stayed here for easy access to Edinburgh and Glasgow. Station 5 mins away and regular trains - great! 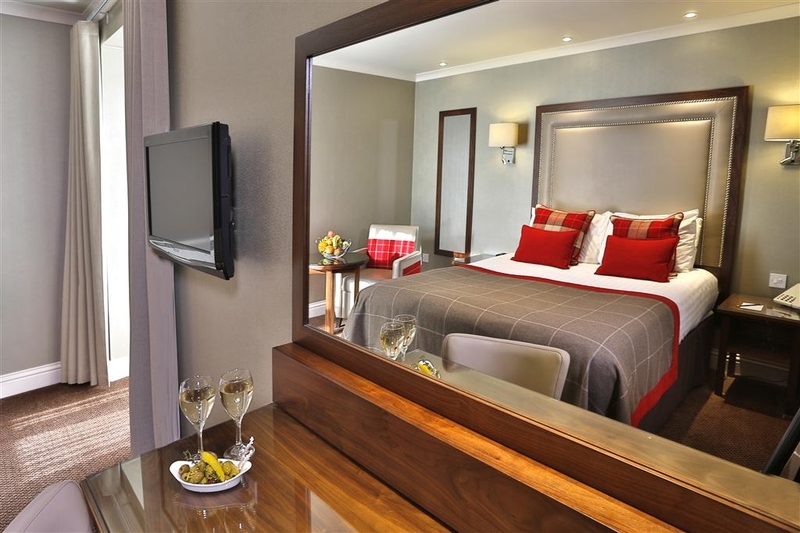 The hotel was very well furnished contemporay design. All staff really friendly especially towards Posie our little dog. We had dinner in the restaurant on the first night which was also of same great quality and good price! I would recommend this hotel for anyone wanting a nice relaxing stay plus anyone wanting easy access to the cities. Thank you for a lovely stay!! We chose The Moorings due to its handy proximity to Larkhall Kart Circuit where we were attending a fixture, the hotel is around 10 minutes drive away. The surrounding area isn't salubrious but the road the hotel is situated on is more well heeled & the property itself a handsome ivy clad villa. We were greeted warmly & checked in efficiently by a charming receptionist who went on to be even more helpful when we wanted to change room. It's rare that I feel a need to do this but our first room (19) was dark & depressing due to it having just a tiny side window. Our 2nd room whilst smaller had 2 good windows & a much cheerier feel. Bedrooms are functional but tidy & my only moan is that our bed was small & the shower impotent. 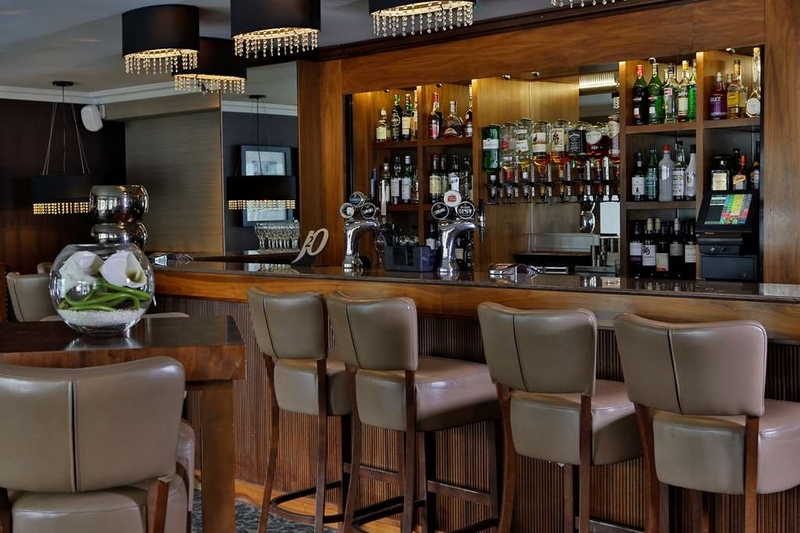 The bar & restaurant look newly renovated & is quite intimate in size so has a homely boutique feel. Breakfast comprised of a small buffet & well presented freshly cooked hot dishes, service was excellent. Dinner wasn't bad either & again we met with competent friendy service. The hotel offers ample parking & good free wifi. The Moorings served our purposes well & we were satisfied with our stay overall. Just home from the most delicious meal. However the service was very poor We sat for 40 minutes waiting on desert menus after sitting with empty glasses for 25 minutes we decided to leave. Such a shame because I thought the food was spectacular. Not sure I'll be back. Having passed this building going to and from Dalziel High for 6 years when The Moorings was probably the grandest house in the town, I left Motherwell in 1958. Since its conversion to an hotel, I have used it on many occasions when visiting family, pre and into the Best Western era, and never felt less than completely comfortable when there,and had no grounds to complain about anything. Not posh, not slick, just well run with a homely feel and friendly helpful staff. Evening menu more than adequate and breakfasts excellent. I will confess to an additional slight pleasure in staying where I could once only gape through the window at the biggest Xmas tree in town! Stayed with my other half as we were meeting friends in the area & couldn't fault the place. Easy to find & in a nice area but also close to the town centre. Our room was spacious & very clean. We didn't have a great view but as we were only using it as a base to stay we weren't bothered. Would stay again if we are in the area. "Anniversary dinner spoiled by poor service"
Stayed in Motherwell because Glasgow hotels were very busy. We were very happy with the hotel. We were back in 20 mins from central Glasgow. The hotel was quiet, staff friendly and a very nice, individually cooked breakfast that was great. Room was very comfortable. We will be back. Booked a midweek dinner as we had eaten here several times before unfortunately we will not be back. We sat for 10 minutes before we were asked for our drinks, a further 10 mins before menus arrived and at least another 10 before they took our food order. Whilst I appreciate the need to clear tables I feel that serving the waiting customers should take priority over clearing vacated tables. We had been seated for 55 mins before any food arrived at our table and to top it all they had got the order wrong. Food was reasonable but not exceptional. The service was dreadful, no one apologised for our wait. At the end of our meal the plates were not cleared and we had to go to the bar to ask for the bill. When the waiter asked if everything was ok with the food when it finally arrived we said it was ok he then said 'excellent' as if an 'OK' was all they aimed for. Everything was excellent apart from the service at evening dinner. 50 mins from sitting down and the soup and pate starters appearing, then 20 minutes wait for the main after we had finished the starter. We we told the delays were because there was a function going on (!). When the staff realised we were not happy they gave us free drinks. I'd rather pay for my drinks and have good service. So look out if you are planning to dine if they have a function going on. "Close to local towns and motorway network"
Stayed for 1 night at this hotel, very clean and comfortable. Missed breakfast but staff sorted me out with a couple of breakfast rolls and a pot of coffee at no additional charge. Staff very helpful and friendly. 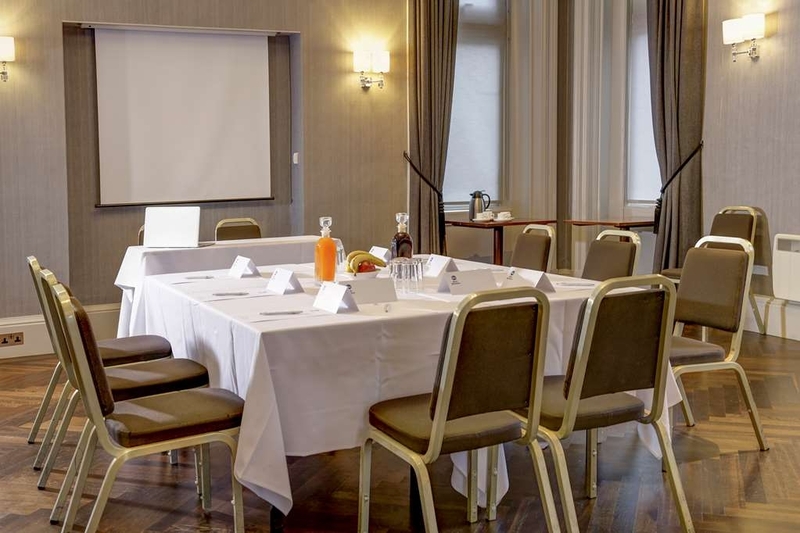 Hotel is ideally located on a main road s easy to find and within walking distance of local amenities. The price I paid was overpriced for the standard of the hotel, and I would not expect to pay more than £60 for a hotel of this standard. I have stayed in too many hotels when the noise from the room next door has kept me awake. This was not the case at the Moorings. I have just had 2 great nights sleep and an excellent breakfast. All the staff were friendly, especially the ladies serving at breakfast. "Close to station makes it handy for Glasgow"
Only 5 minutes walk from the railway station and it only cost us £9.80 return to Glasgow for the two of us. Nice hotel, comfortable bed but as always a bit hot under the duvet. They did sort us out with a sheet and blanket for subsequent nights. The en-suite was a little tight but obviously fairly recently refurbished. Nice to get a proper served breakfast (except juices and cereals) and my particular favourite of smoked haddock. unfortunately on the last morning there was none which is why I cannot justify a 5. Very friendly helpful staff. Rooms well appointed with good facilities. Food in the restaurant is great value and freshly prepared. Both the meal in the evening and the breakfast was excellent. No complaints at all. Just wish I had spoken to more people before visiting. Not sure how the reviews looks so good not only is local word of mouth bad but I'm mortified to say I regularly book clients in here for my work and also have had really bad feedback! From the main courses on we got completely ignored. It's almost like they knew all four meals would be sent back and had decided to avoid.. No check back, no questioning on the pretty much full plates on clearing, no offer of dessert, no offer of second drinks, had to look for staff anytime we wanted anything. Cutting it short but would not recommend! "Perfect place for a meal"
We visited the moorings for a meal for the first time yesterday and were pleasantly surprised by both the friendly staff and good food . 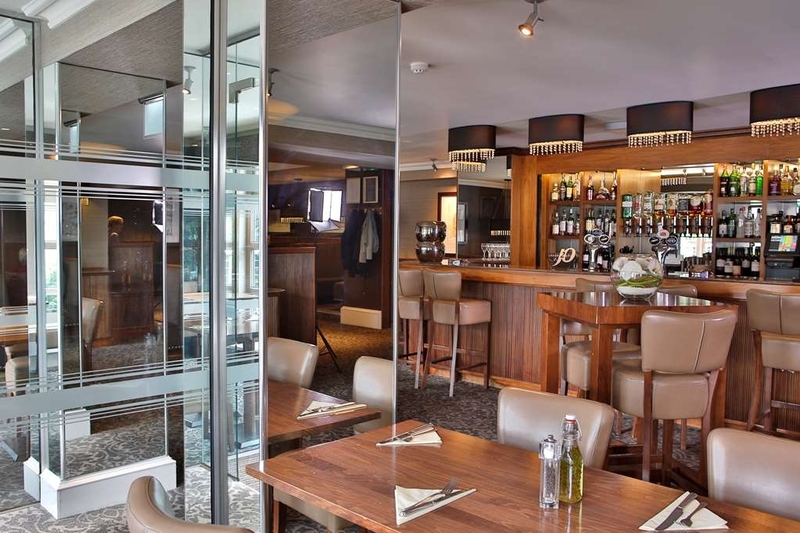 I would recommend the Moorings for a special occasion as the dining area is not too large and also kids friendly. "A bit hit and miss"
Stayed here for 2 nights recently and it was really hard to rate the hotel as the service varied so much during our stay. As to the location, it's easy to find, right on the main road off the M74. We approached from the east and just followed the A723 through the town. There is a large car park to the front and side of the building which seems to consist of an old original villa added to by a relatively modern extension with a glass fronted bar area with terrace outside. Our room was to the rear of the newer part but any hopes of a traditional garden view seem to have gone many years ago as it looks like what would have been the grounds have been sold off for housing as our view was over the roofs of 3 or 4 bungalows. It was comfortable with a large bed and plenty of storage space, it was however a touch on the dark side. We ate in on the first evening and the highlight of the early market menu was the lambs' liver, excellent comfort food. Breakfast on both mornings was fine, only quibble was that the plates could have been warmer on the 2nd morning. My problem with rating this hotel lay with the service. On arrival, a friendly gentleman appeared to be in charge and he had his team performing to the top of their game – all working together to attend to whatever was needed, bar, restaurant and reception all like clockwork. This was repeated through the following day right through until late afternoon. I can only assume that the gentleman previously in charge was now off shift. At around six whilst the bar was starting to busy up one member of staff obviously thought chatting up another staff member at reception was more important than attending to their duties; this left other staff to cover for them and you could feel the tension among staff members as they rushed around trying to keep on top of things. My biggest gripe was when we returned from our function we decided to order sandwiches from the advertised 24hr room service only to be told that there was no one in the kitchen!!!!!! My initial thought was to mention this on our departure to the gentleman who had been in charge during our arrival, alas, he was not on duty and we felt that to mention it to anyone else would have been a waste of time. I really hope that he has been able to witness and address the small issues which seem to go on behind his back and has the team working as professionally as he does himself Would we return? Probably if we needed to stay in that area again, just fingers crossed that the top man is on duty right throughout your stay. A chance that resulted in a very nice accommodation. Good room, good breakfast and nice and helpful staff. Definitely worth a visit. Was there to work but the area felt calm and nice even for families. We were guests at a small family wedding. Service was excellent, food great, nothing was too much trouble. Bar waiting area clean with a friendly atmosphere, grounds well kept with private parking area. Wonderful day. I arrived late ish, and unbeknown to myself, the hotel called me to ask if I was ok & for my estimated time of arrival! Never had that before. Very Caring!! A large car park, friendly welcome, nice bar, quick Wifi, great comfortable room, breakfast FAB! Service even better. Overall? A friendly, private hotel, very much a Value For Money experience, and I would not hesitate, and highly recommend a stay at this hotel if you require a place to stay in this area. Recently visited with older members of the family. We had the early evening menu, although the choice of mains was limited actually only liked the fish & chips. The fish was delicious. 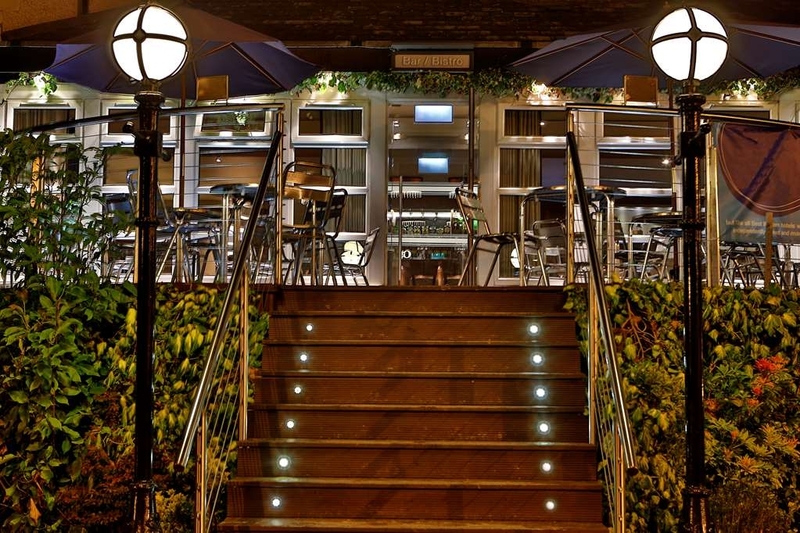 Served in beautiful surroundings with friendly staff. Will be back . Always lovely food and friendly staff. Never had a bad meal in this place. Restaurant decor is beautiful. Nice comfortable atmosphere. Can't wait to go back for my chicken Caesar salad and Croque monsieur. Stayed here recently on business. Greeted by a lovely polite lady at front desk and was checked in swiftly. Rooms was a large twin room which was spotless clean. Two problems with room was fixed swiftly without fuss. Never tried food in restaurant but had a couple of drinks reasonably priced and a good pint. Slept well in comfy spotless bed. Breakfast was ok. Reasonable selection and I had scrambled eggs on toast. Young lady serving clearly had heavy cold and should not have been IMO serving food as she was coughing quite heavily. Would I stay again yes and would recommend this hotel. "Have bee in for lunch, dinner and coffee"
Have stayed at the hotel on a couple of occasions and had several meals. Also enjoy popping in for coffee. This review is specifically for the restaurant. The food is always very good. The let down is generally the service. It's not always the best. I've had to go looking for a waitress more than once. They never check to see if you need more drinks or anything. And it's pretty slow. Definitely don't go in if you're in a hurry but if you're patient it's good food and not a bad price. "LOVELY PLACE - LACKING HOME COOKED FOOD"
The family booked this for an after funeral refreshment and catch up scenario and I left a little let down. On arrival the bar staff were not aware of the Free Drink for guests that had been arranged by the family which resulted in some people buying their own before staff became aware of the arrangements. When asking for soft drinks the guests were not given a choice of bottled / canned non alcoholic drinks but were served the drinks from the "Gun" made up of syrups. The soup was served without bread or rolls and the crustless sandwiches were sparce with fillings and cut into 3cm x 8cm slices - they were soft on the bottom lair having obviously been prepared earlier. The large sausage rolls were obviously bought in and were basically tasteless. The cake tray had scones which were also brought in and were halved and hard again prepared too early Surely in an establishment of this nature the CHEF could easily have prepared home baking and sandwiches which were NOT prepared too early and which should have been filling and appetising - there should have been bread or rolls served with the soup as most establishments do so as a matter of course - this was a big let down especially to guests who have travelled a fair distance for the funeral. The area where the guests had been set aside in large round tables was not big enough and some guests and family had to sit separate from the majority in the bar area - venues should be aware that sometimes more people want to attend than guessed beforehand and arrangements made to accomodate overspill IN THE SAME ROOM. This was not a pleasant experience for a funeral tea and I hope you review your procedures and good food ethics. I heard from staff that they were shorthanded but that is not excuse for such a brand who were about to receive some 80-100 guests. Visited the restaurant with friends, food and service were fantastic, superb menu, food so flavoursome and well presented. Sweets of creme brulee and apple/rhubarb crumble to die for.Long time since I had been but can't wait to go back. "Absolutely disgusting do not go to this place"
Stayed here overnight for work. Room was comfortable and nicely decorated (might've been a bit small for two but perfect for my stay). Hotel was immaculate and within a short walk to the town centre. Very quiet overnight despite my room facing a fairly busy road. Staff were all lovely and friendly and the food in the restaurant was delicious. Went there on Sunday with family.Was a terrible from start to finish.waited nearly an hour for starters.No Gluten free menu or beer.Then another long wait for mains Two of the dishes had hair in it.My fish was dry and my baked potato was brown and mushy.Our waitress was lovely but the experience was horrible. Spent three nights over last weekend and could not have been more pleased with our choice of hotels - attending a local christening. All the staff were a delight to be with and nothing was too much trouble. Room was tastefully decorated and kept immaculately clean. 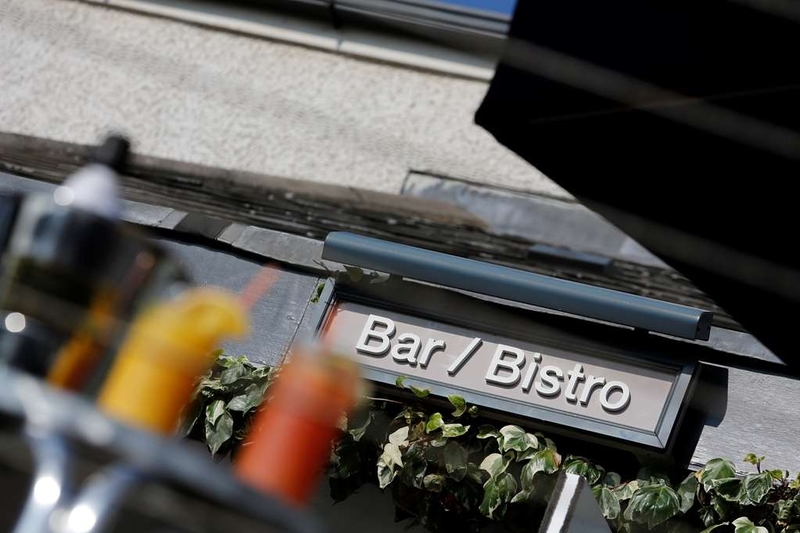 Bar and restaurant staff were on the ball, very pleasant, there to please and there to interact and make customers stay a pleasure - well they certainly did that for us. Food of a very good standard and we thought the drinks very reasonable. Would stay there again and strongly recommend to family and friends. The management and staff is what makes this hotel and they all give a quality customer service. Thank you to you all and continue with the excellent customer service. Arranged to catch up with friend for a coffee, and decided on the Mooring Hotel. Plenty of car parking. Waiter was very friendly and attentive. Lounge was quiet when we arrived, but soon started to fill with the Ladies who Lunch brigade. Look forward to my next visit and catch up. Nothing much bad about by two night stay to report here. Staff friendly and helpful, decent breakfast freshly cooked to order, plenty of parking, room was presented well being clean and modern but television maybe a bit old. My only minor criticism would be the bedroom location, being the room next to the toilets and kitchen entrance. Meant more noise than I would have liked. When I return I would ask for a different room, otherwise excellent. Called to The Moorings for lunch. Friend requested Tuna and Spring Onion sandwiches. After a 10 minute wait, the Waitress returned and said "we have no Tuna, we had a funeral this morning!! No swordfish maybe, but no Tuna?! Come on. Poor for a 3 star Hotel. 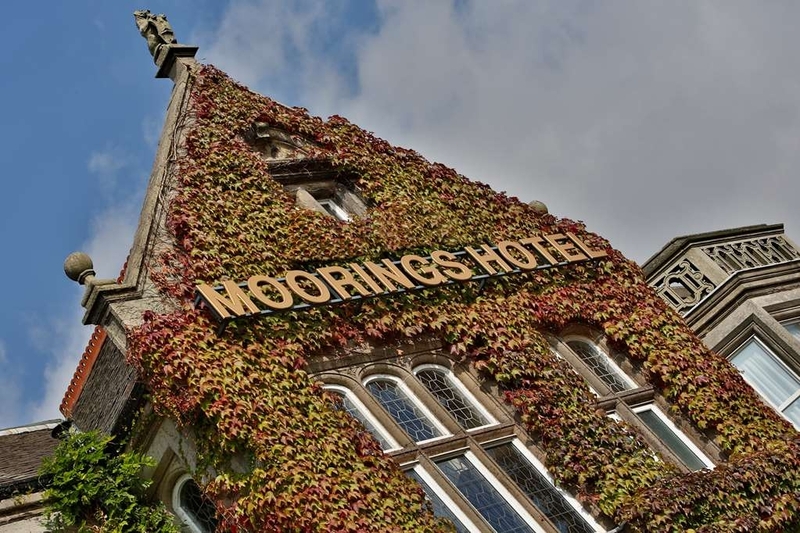 "Business stay at Moorings Hotel"
I stayed in this hotel whilst away on business, the staff are extremely pleasant and attentive to your requests. The rooms are decorated to a high standard, and I have to say the beds are extremely comfortable, I had the best nights sleep here out of all the hotels I have stayed in. The menu had a good choice and the food was good as was the choice for breakfast. If I was to be picky and I mean picky the only gripe I would have and it was one of my pet hates is the chips on my meal came in a little frying basket, sorry I just don't see the point. Stayed overnight to attend show at local theatre. Arrived early, room not quite ready but were able to avail ourselves to lovely coffee and scones in the meantime all at reasonable price. Check in was straight forward. Room was fine, medium size as expected. Bed comfy. Tea/coffee in room. Bathroom smallish but functional. Good shower. Hotel impressive. Car parking. About five minute walk to shops. Very easy to find just a mile or so off motorway but in quiet location. Breakfast excellent. Full Scottish served to table. Restaurant well layed out and comfortable. Bar pleasant, nice to idle away an hour. All staff dealt with very pleasant. "Beautiful Hotel and good value for money"
Room was basic but roomy, clean and very comfortable. I stayed for 2 nights due to attending a wedding nearby and thoroughly enjoyed my stay. Restaurant is quite expensive for food and drinks but due to it being a hotel this was expected. Overall I had no complaints and would be happy to stay again if I was in the area. Stayed for one night before visiting some of Glasgow's excellent museum's. The reception staff made us very welcome on arrival and we were given a room on the second floor, which was spotlessly clean and very comfortable. Had an evening meal and took advantage of the early bird menu which was varied and the dishes we tried very tasty, as has been mentioned in previous reviews, drinks at the bar aren't that cheap and its probably better to share a bottle of wine if you like it. Breakfast the next morning was also good, I particularly enjoyed the potato cakes, why can't more hotels offer them instead of hash browns!? All in all a very pleasant stay that didn't break the bank, as a stop off on the way to touring Scotland or visiting Glasgow I'd be happy to use it anytime. Excellent location, refurbished, bed really comfortable, car parking great, walk into town centre, staff friendly and food great especially breakfast. Five minute drive to Strathclyde park. Ten minutes walk to rail station. Short business stay, as this hotel was close to the area I was travelling to. Very nice hotel, lovely room. The dinner I had was very good and breakfast was good too. I will definitely return for another stay. Had a lovely meal with my friends. Restaurant was busy and well staffed. Service was amazing, staff were always on hand. Shelley was a fabulous waitress, she was very friendly and well mannered. Stephen, one of the bar staff couldn't have been more accomodating. We asked for a baby guiness which he had never heard of but willingly made it for us following our instrustions. Chris the manager is an asset to the company. He runs a well orgainsed restaurant and is obvious that all the staff respect him. Defo be back for a return visit. ?? Had a wonderful meal at the moorings Hotel, thank you chef! As always we were attended too by a lovely team of staff including management, bar staff and waitresses. Would recommend and will definitely be back again and again! "The team were attentive and friendly - Wedding reception visit"
I visited the Moorings where our friends had decided to hold their wedding reception. I had not been in a Best Western for a while, and was not sure what to expect. The team were lovely and attentive. I do not eat meat - and even though there was a set menu with two meat options for the main - they checked what I would like and made that for me. This is not usual in my experience. We had a few drinks at the bar whilst dinner was being cleared, and the lovely Caitlin cheerfully served us. Very impressed overall with the service at the Moorings. Recommended. "Newly refurbished. Convenient for the town." Well appointed room with good free parking and free wi-fi. Newly refurbished restaurant. Food good but drinks very expensive. Limited vegetarian options. Friendly staff. On a main road with little to do nearby. Comfortable. I opted to stay in this hotel during the upgrade of the nearby motorway. The accomodation is very comfortable, bedroom extremely well decorated and spotless. The food in the evening is of a very high quality. I would really recommend this hotel . A lovely hotel in good location for country park and easy train access to Glasgow and Edinburgh. 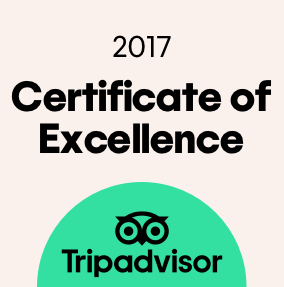 A lovely atmosphere,friendly staff and a great food.Very clean and a pleasure to stay here.The bed was very comfortable,and room decor very nice. Stayed for 5 nights recently, booked via Quidco/Expedia to get cash back. Room was very nice, odd location as you had to access it behind the bar. The hotel has been upgraded and the staff were very friendly. We had a meal in the hotel as expected the price was more pricey than Wetherspoons, but very nice. Local train station is a short walk away, Glasgow is only 20 mins away on a fast train. Town centre is less than 10mins walk away. Great hotel friendly staff Who couldn't do enough for me I will tell all my friends about this hotel. I recommend it to anyone. Beer a little over priced but that's what you get in hotels of as high stand as this. Another lovely stay for us. A two night stay, in a spacious and clean room. Great food, amazing staff and service, couldn't really ask for more. In a good central location with plenty of parking and walking distance to a shopping centre. Went here with my sister for lunch. Service was prompt however it wasn't busy. The waiter who took our order seemed very inexperienced but he was very polite. The food was good and served quickly. We both had pate to start with small side salad and four of the smallest oatcakes I've ever seen so ended up eating the pate by itself. I had liver which was over cooked in parts and therefore a bit tough, my sister had the fish which looked really good. Ok for the price but not sure I would go back any time soon. 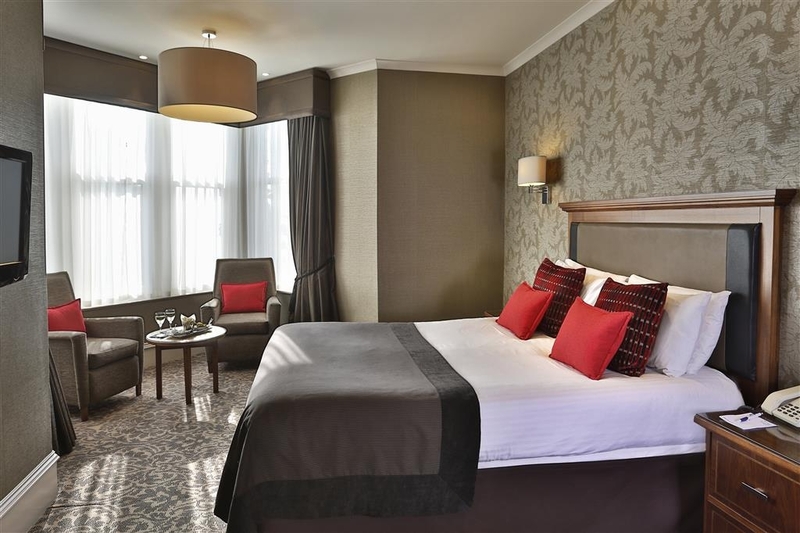 "Centrally based hotel in Motherwell"
Within walking distance of railway, city centre and Strathclyde Park. Clean and tidy hotel. Stayed for three days some staff helpful, some staff very much by the rules. Food and bar pretty good. Overall a decent hotel. "Location great for Motorway, shops and railway station." Stayed for 9 nights with members of my family in order to visit some of my wife's family who live locally. Good décor, food and parking. Staff very friendly and helpful. Found beds and pillows a bit hard but otherwise had a good time here and would be happy to use it again. Easy access to many interesting sights both near and far. "Watch out for huge variances in room rates"
We stayed at The Moorings to attend a wedding party nearby. My parents also stayed the same night. Reception staff were lovely. Evidently the hotel has been refurbished and was fresh, clean and tastefully decorated but pretty basic. Our room was tiny and way too warm. Breakfast was inexpensive and no frills (exactly what it says on the menu) and service friendly. All tolerable for one night until I discovered that my parents had paid just over half the rate we paid!!!! I know this is a case of 'let the buyer beware' but a range of over £65 a night between rooms is not excusable in such a basic place. I would much rather look for a decent B and B in future. My wife & I stayed here in Aug 2016 and were very pleased indeed with this hotel. 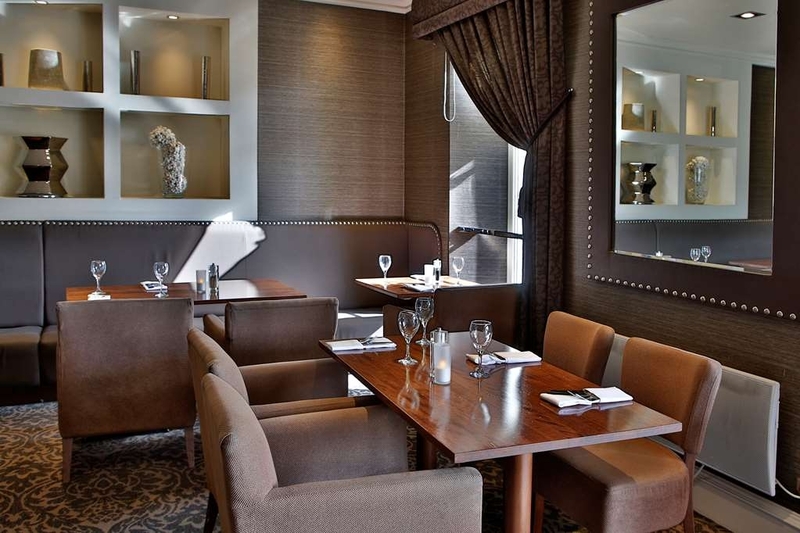 The room was comfortable, the bar and restaurant were all decorated to a high & modern standard. The meals very good. Centrally located in the heart of Motherwell, I could hardly have found a hotel any nearer to where I was working. Overall, we were very pleased with the hotel & the cost of the room was also very reasonable. We stayed here on our return journey from The Isle of Skye. Easy to find from the motorway and plenty of car parking. Our room on the first floor was pleasant - not enormous but clean and comfortable with a well stocked beverage tray. Also it proved to be very quiet - even though there was a function in full swing downstairs we heard nothing. It might have been slightly tricky for anyone with mobility issues as there was no lift. The staff were excellent - very helpful and very cheery. We enjoyed an excellent evening meal ( booking advisable as the restaurant is also popular with non residents) and then breakfast the following morning. An impressive looking building from outside, with plenty of car parking space, we booked through an agency which clearly stated room for three only to be told we were booked into a double and had to pay extra for third person, not a good start, room was up two flights of stairs and then down one with no lift and no offer to assist with luggage room was large and comfortable with good size bathroom ,and very quite even though there was a party in full swing down stairs, bar/restaurant situated together , dinner was good quality and enjoyable . something missing to turn this average stay into a excellent stay, 10 minute Walt to train station and town center. I stayed at the Moorings Hotel while on business up in Scotland. I stayed for 3 nights all of which I was looked after by an amazing team of staff. The receptionists were extremely knowledgable and offered additional wake up calls, news papers and advised of opening times of the hotel restaurant. The checking in process was quick and efficient. 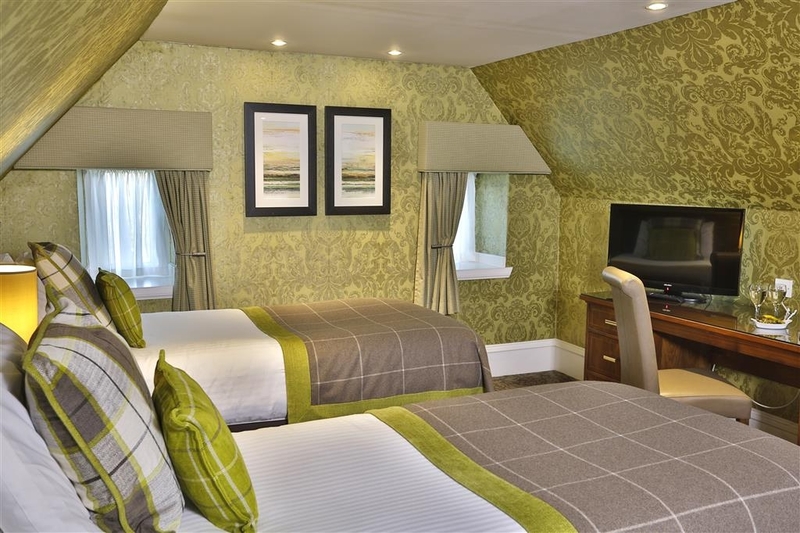 The hotel is beautifully decorated all up to date and modern with a little Scottish twist. The rooms have everything you need even shortbread. I had both breakfast and dinner at the hotel both of which was perfect. The chefs they must have working there knew exactly how to season their food and the presentation was top notch. My favourite meal by far while there had to be the Moules Marinere..classic French food. Finally I would just like to say a huge thank you to the whole of the team there you really are doing an exceptional job. We stayed at this hotel for two nights as part of our coach trip to see the Edinburgh Tattoo . We were very impressed , room was comfortable with free wifi and nicely decorated ,we slept very well . We ate at the hotel on one evening and had breakfast both days and the food and service very good and good choice. The hotel is beautiful with lots of character,there is a large car park on site and staff were friendly and pleasant . We would recommend this hotel to other travellers . We have been here twice now and it has been excellent both times. The staff are friendly and very good at their jobs, if you need any help with anything they will always do their utmost to help if they can. The rooms are always clean and tidy, beautiful thick towels in the bathroom, freshly cleaned each day of your stay. The breakfasts are well cooked, hot and plentiful, and if you want something different the staff always try to accommodate. 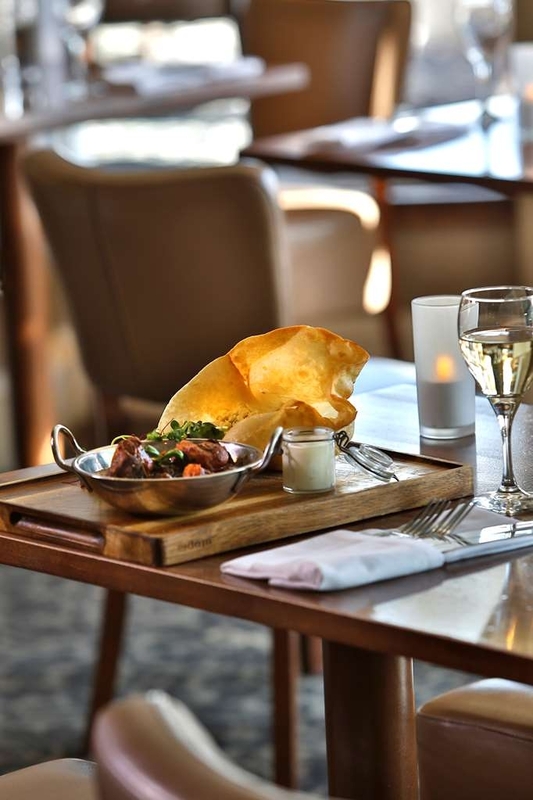 The evening meals are the same, you may have to wait a little bit but it's always worth it as its freshly cooked and piping hot when it arrives. 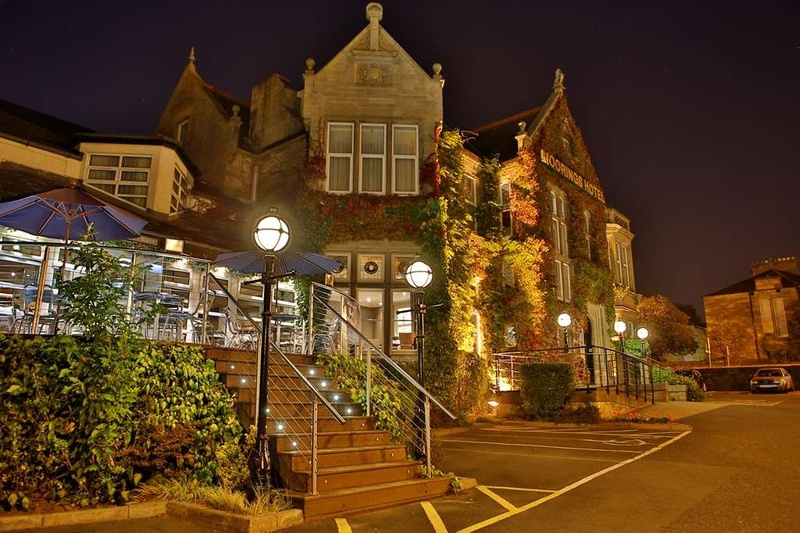 It's a lovely hotel and well worth a visit as a base to go out siteseeing or a business trip. "First ever stay at this will not be our last"
Had a lovely meal and drinks here. It was great value for money and our party was large enough to be partitioned off from other guests. Staff were very polite and hospitable. We had a very nice evening. The portion size was ideal, food cooked to perfection as I ordered steak, nice selection of vegetables were served with sauce. All in all I was pleased with my visit. "Great position, very friendly and comfortable"
Rooms are comfortable- bed great. Breakfast was really good too. Location is close to train, and on bus route. Also, not far down hill to big park No air-conditioning- something us Aussies are used to, but certainly not standard in the UK. Overall, a great experience, and we will be back again to the Moorings on tis tour. Stayed for Golf in Troon despite distance very accessible due to good roads nearby. Hotel was good and welcoming food good value excellent everyone always happy to oblige. Would stay again if in this area. Unfortunately only staying one night here but what a beautiful place, staff are very attentive, friendly and professional, rooms are spotless, and food is to die for! I had lamb chump it was amazingly succulent accompanied by chive Mash which was full of flavour, beautifully cooked carrots and Bobby beans, followed by the tastiest cheese cake with a lovely ginger biscuit base and topped with banana, toffee sauce and fresh cream. Really wish I could stay another week ?? Visited recently in a group for Sunday evening meal. Menu had changed since previous visit and left me with a lesser choice. Service was attentive and quantity of meals were good. Unfortunately medium to well done for the stakes wasn't achieved and after being returned twice,we gave up and worked around what was fully cooked.Sadly,there was no acknowledgement from staff that they had a problem cooking the stakes. What really wasn't available was the cost of the drinks that would greet us at the end. Be aware this isn't somewhere local where you were left with much change in your pocket. We stayed overnight in June 2015, and received such good service decided to rebook and stayed for one night on 3rd June 2016 enroute to the Highlands for a three week holiday. The room was comfortable, but unfortunately as it was a warm day and with the window open I could hear continuously the dreadful humming from some pipes (think it was the kitchen extractor fan). We had my Assistant Hearing Dog with us, and had our meal in the room which was beautifully cooked. Staff were really helpful. We have booked again for 25th June on our return back from the Highlands. Visited with a large group for a special occasion family meal. The decor of the hotel was lovely and seemed recently refurbished. 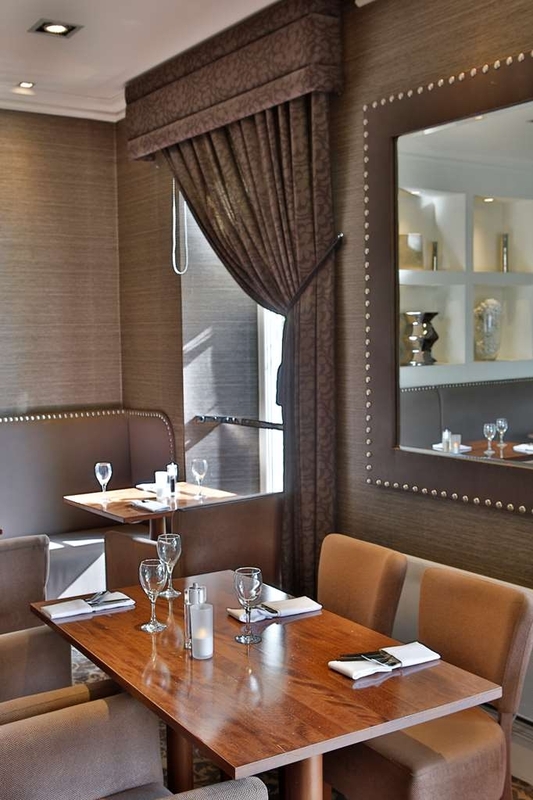 The service was fantastic, the staff had a laugh with us and couldn't have been more friendly. The water was constantly replenished on our table. Unfortunately the quality of the food was not up to our expectations. Every starter was deep fried/didn't feel kitchen made, felt heated up. The mains were better, I perhaps ordered the wrong thing as the Singapore noddles were very oily. I would return perhaps for lunch and try another menu, the setting is lovely, I hope the food improves to bring the next review up to 4 or 5! "A lovely Hotel and visit to Glasgow"
My husband had used this hotel on a previous visit to Scotland for just a one night. He found the service helpful and pleasant. So we chose this hotel again for a long birthday weekend. Our first night was a little bit noisy. Party people going to bed at 4am was a little bit worrying as we thought this might happen throughout the long weekend. However it was just a one off occasion. Not the Hotel fault I hasten to add. The room was very spacious. On the First floor. The window over looked a small house. We did not mind the view. It did not detract from our stay. The food was very good and good choice. I found the Haggis Pekora with mint sauce delicious. Try it . The pasta dishes are very filling. Very tasty. Breakfast has the big breakfast. Great for starting off the day. All the staff at the Hotel we very Pleasant and friendly. Very helpful. We like our hot drinks and asked for jugs of milk to have our tea and coffee this was no trouble at all. The only downside for me was the coffee in the morning was very strong. Needing hot water to dilute it slightly. So we gave up on the 3rd morning and just had hot water. We had no parking problems. We left the car in the car park using the train to get into Glasgow. Motherwell station just a short walk from the hotel. We are looking forward to our next stay. Oh and you can take your dog. My friends and I have often eaten her for lunch and sometimes an early dinner. It has usually been very good and a pleasant place to meet up with friends and colleagues. In April of this year I met a friend for a meal around 6pm and we unfortunately had some bad experiences. I ordered fish and chips and the chips were completely burnt. When I mentioned this to the waiter he said they were not burnt and then said that is what they are meant to be like! He added that they couldn't be burnt because they were soggy! How right he was. Totally inedible - burnt and soggy! Later on he was clearing a table next to us and slipped thereby covering my trousers in mayonnaise. He did apologise and attempted to clean up the mayo but as is usual with mayo the trousers did not clean and in the end I had to just bin them. As we were paying the bill ( where the cost of my main was deducted at least) I mentioned to another member of staff that we had not had a great time and our cheeky young man who served us said that it was not as if he had thrown the mayo over my face! So all in all a terrible experience but even worse, when I wrote to the manager with my comments I received no reply and therefore I will not be back and I would like to warn people about the lack of staff training, the very cheeky server and the poor management who can't even be bothered to respond. Stayed for two nights for work and would definitely stay here again. 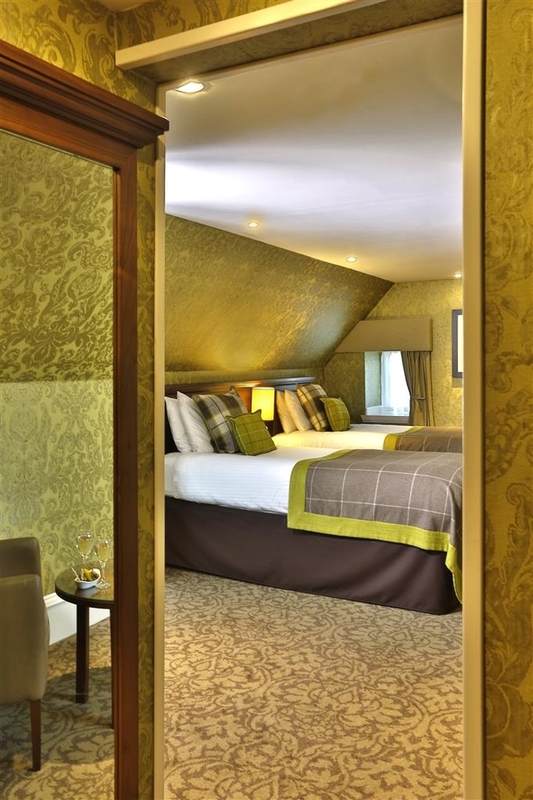 The rooms are comfortable, albeit there is some noisy pipework in room 7, the staff are friendly and the food was great. In fact it's the best couple of evening meals I have had for some time. Lovely family hotel,our rooms were tastefully decorated very clean and well maintained.The staff were helpful and extremely friendly.We decided to eat our evening meal on our first night there and the food was delicious could not fault it.Breakfast next morning was good but limited fruit and yoghurt choice.We would recommend this charming hotel and would stay again if we ever return to the area. I had booked online & gave credit card to details to secure the room. I made clear at check in that I would be paying cash on departure, so not to use credit card. After the first night I checked my card & noticed they had taken payment for one night. I didn't mention it, although I wasn't pleased. But on check out, 2 night stay, they tried to charge me for 2 nights. I had to explain they had already charged one night on credit card. The woman went away to check, when she returned she agreed they had done so but offered no apology to nearly charging me twice. My room had not been cleaned properly as I found 1 ladies shoe under the table. I did tell reception but no one came to remove it. The floor also had several hair pins over it, so I assume the Hoover had broken! The food was ok. But I wouldn't stay again or recommend due to customer service, payment & cleanliness. Large family and friends group booked for my daughter's wedding at a local venue. Stayed for two nights, could not fault anything, lovely friendly helpful staff. Beautiful rooms, gorgeous decor all through the hotel. Delicious and plentiful breakfasts. Booked our evening meal get together for the night before the wedding, booking for 16, every single meal was delicious, nothing at all to complain about. Cannot recommend this beautiful hotel enough!!! Stayed for a few nights in May whilst working in the area. Staff were all really good, friendly. Hotel has a mix of character and contemporary. Plenty of parking. Room and the hotel in general was very clean and well maintained. Nice bar area. Breakfast was good with all hot options freshly cooked to order. Couldn't comment on evening menu as there were a few of us and we decided to venture out each night. We stayed here for a weekend and had a great time. 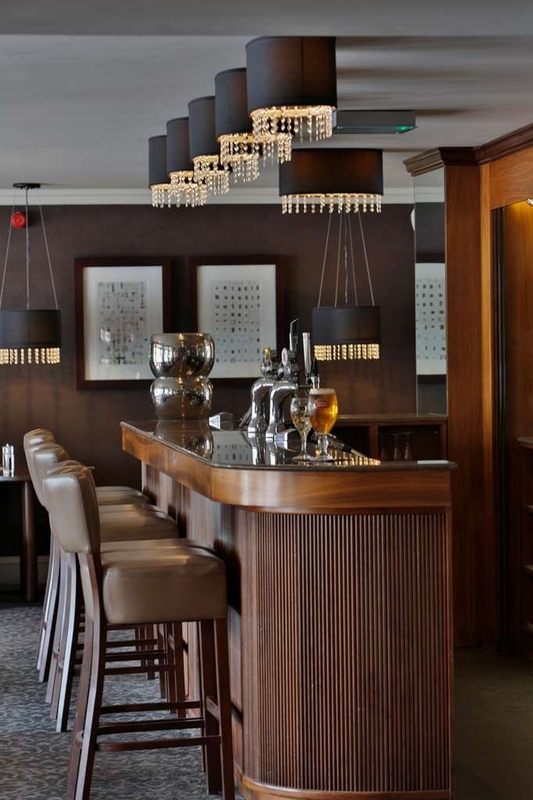 The hotel is full of character whilst being decorated in a modern, elegant style. The place was spotlessly clean , and the staff were helpful and very pleasant. The food was superb. We enjoyed breakfast, lunch and a wonderful dinner complete with one of the best ports we have ever had. I would just like to say thank you for a wonderful weekend. We will definitely be back!! This hotel is located on Hamilton Road which is one of the main approaches to the town centre. The hotel is about 400 metres from the main shopping centre. Its quite an imposing building with a sense of grandeur and history. 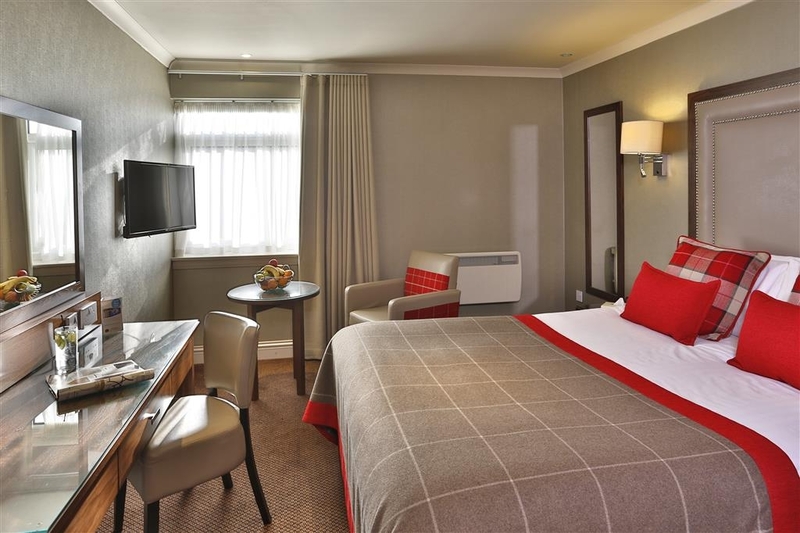 Its somewhat different to the usual modern hotel in terms of it style and layout. The hotel staff are really good and I found them to be very helpful. My room was spacious with a nice sized bathroom which had a walk in shower. The floor boards squeaked as you walked around the room but apart from that the place was quiet. The restaurant area is nice and has an outside seating area. The food is very tasty. The carpark can cater for twenty plus vehicles. I enjoyed my stay there and would return. We had the loft room 29. Pleasantly surprised at the space concidering they put extra beds in to accomodate our two girls. Cleanliness of room was excellent. Receptionist was very pleasant and nothing was too much bother. Dined in the evening and although one out of our four dishes wasn't quite tasty enough for a fussy teenager they promptly offered an alternative. The only little gripe was the shower ran out of hot water, being run from a lift tank. Another room was offered but we managed all the same. Would definitely return. Reasonably priced too. My husband and I had a great relaxing overnight stay at this lovely hotel.stayed quite a few times .room spotless,bed really comfy,breakfast fantastic,great price and staff very polite and friendly and the lovely Nicky on reception was very welcoming and chatty.would recommend this hotel..
Long time since we've been here, so we were pleasantly surprised at how great the place looks. The food was delicious. We shared a basket of bread, with olive oil and balsamic vinegar. Our party of 3 also enjoyed haggis pakora, chicken liver pâté, small fish and chips, Croque Madame, vanilla Creme brûlée, sticky toffee pudding, chocolate and praline sundae. The menu isn't extensive, but there is something there for everyone. The staff-Elaine and Sharon (good to see badges, girls! )-were pleasant and friendly. I'm sure we will visit this restaurant again. 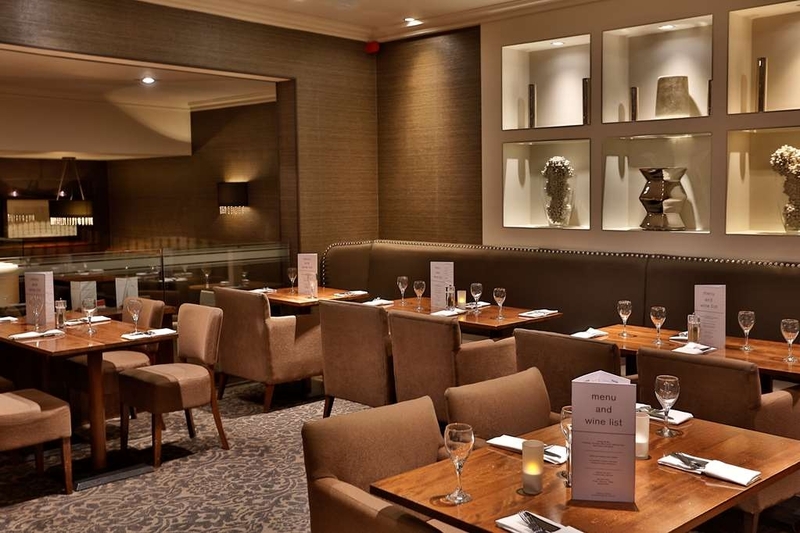 "Lovely weekend - great staff!" My parent and I stayed here last weekend for dinner bed and breakfast. On arrival we were greeted by a very nice receptionist who checked us in. Our room was lovely, spacious, clean and cosy with a nice big comfy bed and Wifi in the room. We had dinner downstairs in the restaurant and were looked after by a dark haired waitress. This lady really looked after us, she was polite and very helpful and did whatever she could to meet our needs...she even let me order off the lunch menu even though it wasn't available. We had a drink on the outside terrace which was also lovely. We slept very well and the hotel was quiet in the evenings. We had the same waitress at breakfast, she was still just as nice and polite and even remembered our room number. Breakfast was great, would really recommend going for the full breakfast...although the pastries were very nice too. This is a great hotel, a modern feel in an older building with lots of character, very clean and excellent staff! Thank you for a great stay! Recently stayed for two nights with a group of friends. Beautiful hotel with very friendly staff. Couldn't fault it. Very disappointed to return one evening for a meal in the restaurant to be told they were fully booked for a communion party and no tables reserved for residents. Not great when the nearest restaurant is a 20 minute walk away but this was our only complaint. "One of the best in Motherwell"
I was here on my annual trip to Motherwell with a friend of mine who was brought up in the town. This is the best hotel I've been in in Motherwell. Used to be the family home of the owners of Coalville's Steel Works and has had a few owners since. It has a nice extension where the bar/restaurant is with some rooms upstairs - built on the site of the house's original conservatory. Room was clean and modern. En suite bathroom clean and bright although a bit cramped. We stayed bed and breakfast - breakfast was good although, as its made freshly, it took a little while to come. You can order a newspaper for the morning but note this isn't delivered to your room and you pick it up at reception. I'd definitely go again. We stayed here after our wedding in April in Room 10. The room was stunning and totally spotless! Lovely comfy bed, handy dresser, large bay windows, modern bathroom. Overall - gorgeous! All staff that we met were very friendly and happy to help. Had a full breakfast in the morning with a pot of coffee, which was also lovely. Would definitely recommend. 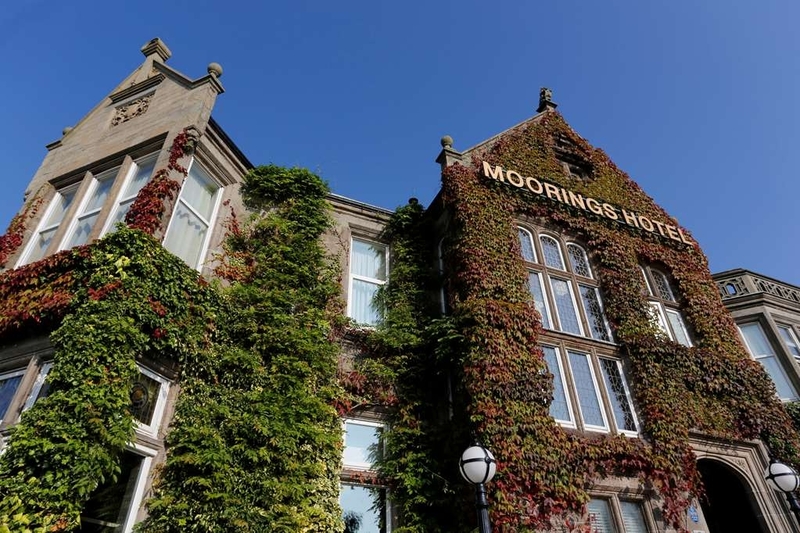 I recently stayed in Motherwell and I'm so glad I chose to stay at the Moorings Hotel. This hotel and its staff are totally focus on excellent customer service, for example when I arrived I been traveling for six hours and I had a very heavy suit case ; I was dismayed to find the hotel had no lift. But the receptionist ask smartly dressed young man to carry my case up the stairs for me. The food was top notch as well. The room quality was three star and very comfortable. I thoroughly enjoyed my stay there. 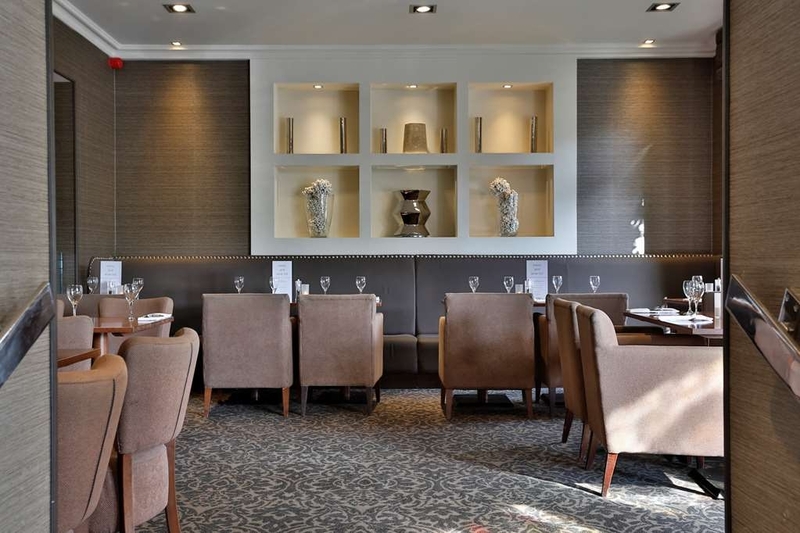 This Hotel is in a large converted house between the Town Centre and Strathclyde Park, The internal finish is very good, my room was in what I assume to be in a newer part of the building on the ground floor, very close to the reception and bar, very handy. NB there was no noise from either. The room was nicely decorated to a modern taste with a large double bed, desk and Wardrobe, there was also an area with one chair so you could watch TV, if you wanted. The WIFI was good with enough power to watch a video on line if you wanted. The phone reception EE in my room was non existent, but was OK in the public area's. The staff in the restaurant bar area, were pleasant and friendly at all times, only one blip for me was the cooked breakfast on the first morning was not the best, however it was fine on the second day, the selection of prepared fruit at breakfast is minimal, the same as it's sister Hotel but not a major issue. My husband, friends and I visited the Moorings Hotel for dinner 24th April. We were all very disappointed with the menu, quality of the food and also drink prices. The choices on the set menu were extremely basic and poor quality. In addition to this, we ordered a bottle of wine and whilst this was expensive, I didn't feel it was too over the top. However along with the wine we ordered a jug of soda water and when the bill came, I couldn't believe that we had been charged £6.40. From someone who has worked in the hospitality industry for over 40 years, I know that soda water costs nothing as it's essentially carbonated tap water and so to be charged £6.40 for this is utterly RIDICULOUS! We dine out regularly and I will certainly not be back and will make sure that I tell everyone I know about my experience! "Great hotel and great deal!" Booked here for one night while visiting friends in the area. Got a great deal on the BW website and also had a voucher which made this a very inexpensive stay. Checkin was quick and our room was small but very nice and also comfortable. Everything worked and even although we were looking out at the main road there was no noise problem. Wifi was a little slow but it worked. Checkout was fine although it took a few minutes for the staff to figure out how to apply my US travel card but they figured it out! A great stay with great staff throughout the hotel. First visit to this restaurant in a long time. Mozzarella starters were lovel. Only a small menu as there was a wedding on so no other menu. Chris the manager offered chicken with mash and haggis and friend had steak fritters. Both were lovely and tasty. Good espresso and shortbread to complete our dinner out. Enjoyed it very much. I stayed at this property for two nights in April 2016. 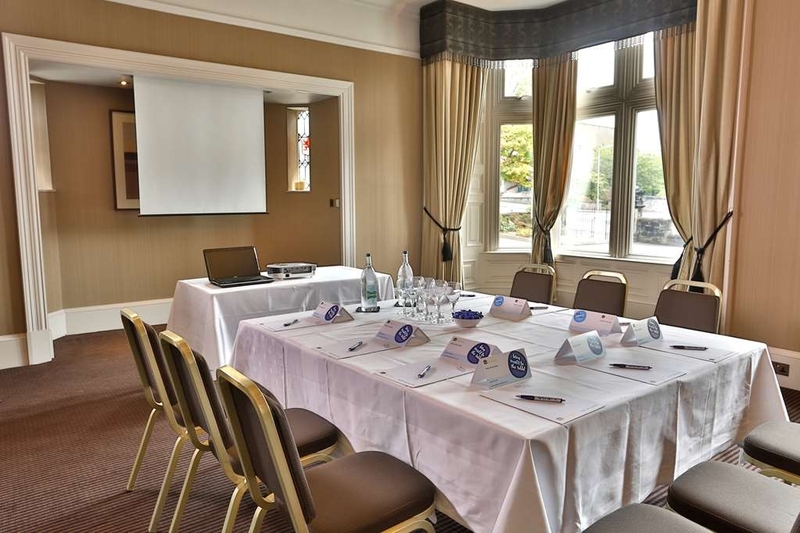 The Moorings Hotel offers decent value for money and is conveniently located between the core of Motherwell and Hamilton, making it good for business trips between these two towns. It is within easy walking distance of Motherwell Train Station and Town Centre. My room was modern and recently updated; however, on arrival the room was not cleaned with food on the carpet (what appeared to be pieces of chicken) and cleaning products on the shelves (spray bottle, rags, etc.). While it was cleaned the following day while I was at meetings, the cleaners seemingly left air freshner and cleaning solvent bottles in the bathroom while removing the other items. The bathroom is small as is the TV, and there didn't appear to be an elevator, making this a difficult stay if you were physically challenged or out on the town. Nonetheless, the hotel offers free WiFi and the restaurant offers a good selection of food - albeit, they were out of a few things when I tried to order dinner on the last night. I would recommend for staying on a budget - decent value for money. I would stay again. "Birthday Lunch in Restaurant "
Birthday lunch for my brother with special needs. The staff very helpful and accommodating. They really couldn't do enough for us. 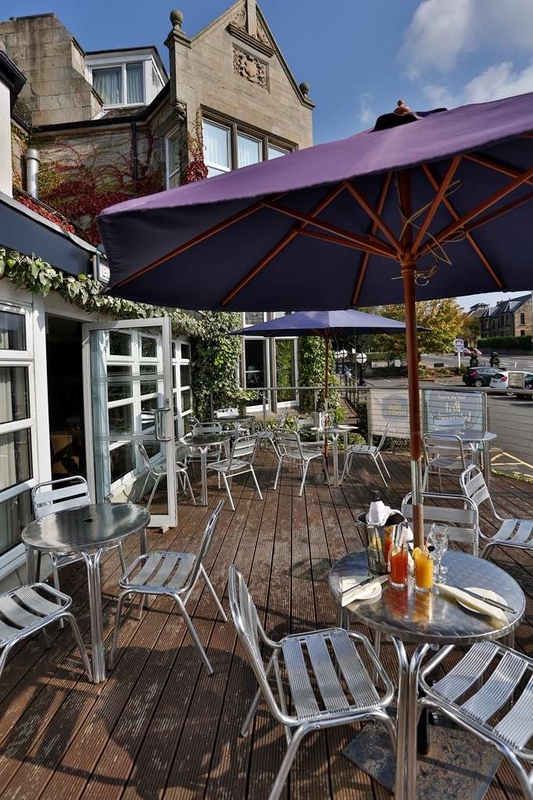 Wheelchair access and good parking, the restaurant is lovely, bright and airy with a good menu selection. The food was ok - better than average. Would recommend The Haggis Bon bons, fish and chips and club sandwich. I wasn't particularly keen on the pate and the macaroni was sickly for my taste but overall a nice, relaxed place to eat. Stayed here for 3 nights for my daughters birthday and to meet up with family arrived late evening and was welcomed by friendly staff member, room was big and clean after a long trip of 8 hours was ready for our beds which was one the best I've ever slept in was extremely comfortable breakfast was also good value nothing to much trouble for staff and again very friendly. Each time we went out and arrived staff also spoke and asked if we had a good day even called for a quote for taxi for our departure printed off bus/train times off On departure even filled my flask ready for my long journey home. Would definitely recommend this hotel and will be coming up again soon and now I can book with confidence. Only one fault and only little one was no beans option on breakfast but this is only because I like to have beans on toast for breakfast. Would definitely stay here again, stayed this weekend with my Grandma, gorgeous hotel, lovely decorated and rooms are done so glam. Dined in the restaurant I had a excellent meal there was no vegetarian choice well Fish & Chips but the staff organised a nice salmon dish for my grandma. Very peaceful and cosy nights sleep - followed by a full Scottish breakfast and my grandma really enjoyed her vegetarian breakfast. Helpful staff, quick check in. Room was very clean and well supplied. I got an advance purchase rate, which I felt was a good price but anything else may well have been a tad too expensive. I also ate in the bar/grill and had the early evening menu. Starter and main both came out extremely quickly. Both were tasty and I think were good value for money. Extremely handy for walking the Clyde Walkway (New Lanark to Glasgow) as I was doing. Huge breakfast incuded in the price, which was great. Have visited a few times and each time have not been disappointed. Very clean rooms. Staff are very welcoming and on the last visit (my birthday) they went over and above to make it special. The breakfasts are excellent. Nothing is too much trouble and we always enjoy staying here. Would recommend without hesitation. "Lovely new room but let down with the afternoon tea"
God location in the centre of the town. Lovely old building with lots of character. Didn't have a good welcome from the check in lady, actually very unwelcoming but to be fair she must have realised it and she called our room later to apologise . My room was in the newer part of the hotel, the bathroom is very small like a caravan size! Bed was lovely. The tv is wall mounted next to the window in the worst position ever. As the room was in the new part you have to walk through the restaurant with your luggage, very strange layout. I didn't like that to be honest. Do Not have the afternoon tea.. I was told we had to pre order afternoon tea the night before. Why I don't understand as it was not fresh scones or cakes at all, definitely supermarket scones! No clotted cream, they gave us whipped cream with two tiny pots of jam for three people. Lots of sandwiches which where tasty but the cakes where also very poor quality and uneatable . No tea top ups as its very difficult to get the staff to help you and they don't come back to see if you need anything. It was awful and a shame it was so bad as it really let my stay down as a friend came to see us at the hotel and this experience spoiled it. Such a waste of money and spoiled my meeting with my friend. The room maids can be noisy in the mornings which spoiled our rest and they throw all the old bedding over the hallway which looks awful and hard to walk around. I emailed the manger who replied he hopes to see us back soon and thanking us for our comments which I was told would be taken on board. 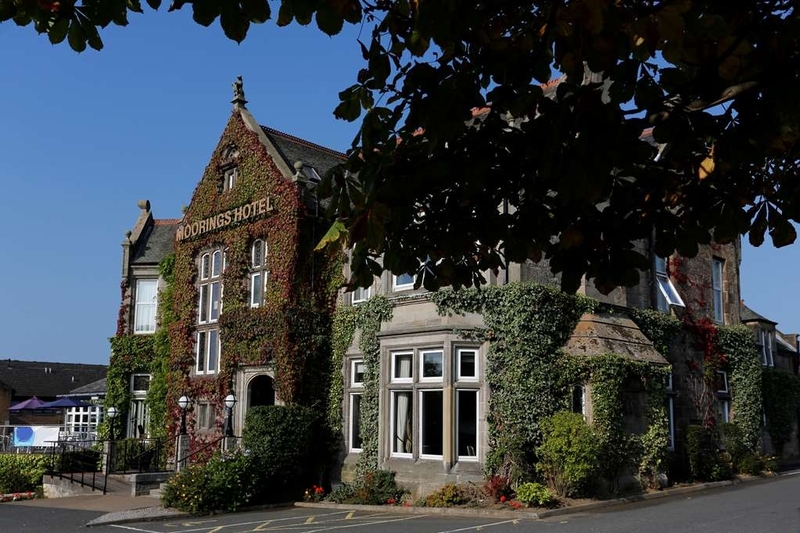 The moorings is a nice hotel set off the main road , no noise issues and ample parking. Good stay at very clean hotel with great friendly staff. Bed was extremely comfortable, Had both breakfast and dinner in the hotel both meals no complaints. I would recommend for both business and pleasure. Back again to visit family in the area. 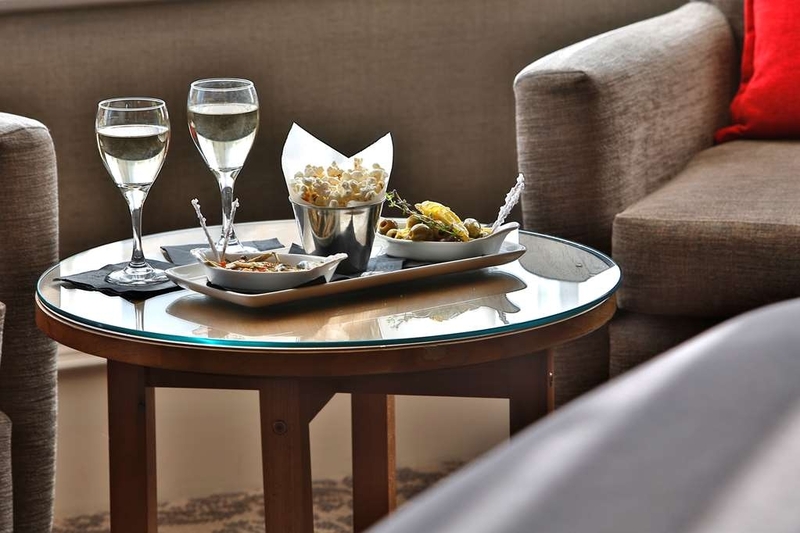 Always a warm welcome with a cosy homely feel. Menu for dinner was very limited so we ate out. Ordered porridge for breakfast towards the end of service which didn't seem to go down well with the staff, overheard the staff member saying "What time is it, he's only ordered porridge" First class breakfast as always and the porridge was superb so thanks. Just back from The Moorings Hotel and it was terrific. The surroundings, meal and staff were brilliant can't fault it at all. Very organised well done. We paid £55 each and will defo book for next year. Compliments to the chefs for every aspect of the meal but he soup was lovely, different to say the least. 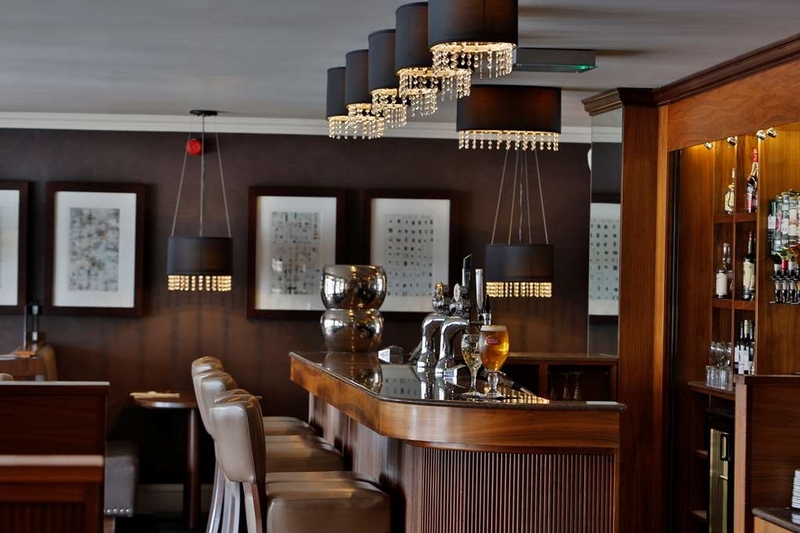 Stayed at the Moorings Dec 15th I have used this hotel several times in the past when traveling on business in the Glasgow area, and this time again found the service and overall friendly atmosphere to be as good as previous visits. Warm welcome,found the staff very good at reception and in the restaurant. My room on the ground floor was spacious,extremely comfortable(I slept very well),with a very good decor including the bathroom which was excellent too. My only slight complaint was the evening meal,as it was rather overcooked and upon mentioning this to the waiter he took no notice and walked off.However saying that most of it was quite tasty.Breakfast was great though but no Scottish sausage...think that needs adding!!! "For us it was a Haven"
We had had a terrible time with the weather. The M74 had a blizzard and 4 ins of untreated snow, and the road was treacherous. We had planned to go to Troon but the road was blocked and in any case it would have been unsafe to go. So we booked this hotel through TA instead. The receptionist was lovely. She listened to our tale of woe and did everything to make our arrival pleasant. This calmed our nerves. Then on - no problems - everything you would expect from Best Western. "Made welcome from start to finish !" 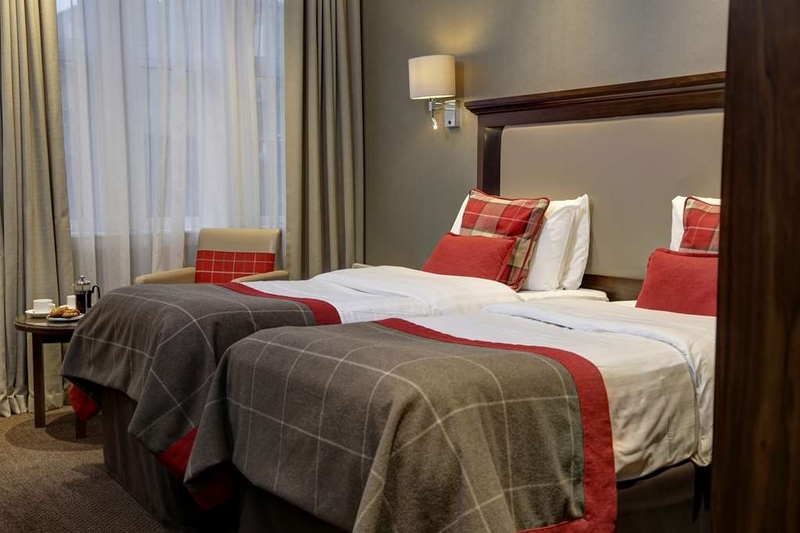 The hotel is well placed, just a couple of minutes off the M74, great for travellers. Ample car parking and a really impressive building. From arriving at reception I got a warm welcome, friendly and efficient service - the staff throughout my stay couldn't have been nicer. My room was well appointed - everything you need for a hotel stay. Importantly a really comfortable bed - with excellent quality bedding. Slept like a log. The room was a reasonable size and spotlessly clean. Bathroom was excellent and in pristine condition. Evening meal in the hotel provided a good selection, and it was nice to see that the menu reflected the location (e.g. couple of haggis based dishes). The haggis bon bons (starter) were gorgeous. Main of Cajun salmon with pumpkin risotto was incredibly tasty. And food served quickly (and piping hot). Excellent meal. Breakfast also had great service - and a wonderful Scottish fry up which was beautifully cooked. The Moorings, based on my stay, have got things nailed. There was great hospitality and all facilities and services were excellent. Why can't all hotels reach these standards? Highly recommended and I'd be delighted to return. Came for dinner on sunday night and was quite let down. Waited to be served, then waited on drinks. Meals were pretty poor considering the price. Family of 3, 3 course meal was over £60. Drinks were very expensive. "Great Location and close to work." I stayed here for one night whilst away on work. My company had booked on my behalf and then I had decided I would ask my mum to join me for a treat and a change as Glasgow is only 20 mins on the train. I rang the hotel and asked for the room to be a twin and I would pay the difference for another breakfast and the change of room. This was okay and the staff said no problem. Over all the staff,location and hotel was very nice and well presented. Only one thing I would comment on is the warmth off the room, the stairway was lovely and warm but the room not so much,I would suggest more heating installed especially over winter. From booking to departure the hotel staff could not be more helpful! As I was visiting with my Great-Grandmother I called in advance to see if it would be possible to have rooms on the ground floor and near each other - not only did they accommodate this request they took around 14% off the online deal price. Throughout the three day stay the staff could not have been more helpful for both myself and my Great-Grandmother - such a lovely team. Ample car par and good central location, however, the breakfast did lack tinned tomatos. I stayed there for three days, last weekend. I could not recommend this hotel to anyone unless it was Summer. The first room offered was Room 12, up stairs along a corridor down stairs and along another corridor, to a double bed room which was quite dark. I am a disabled person, and requested a twin room. When I return to the Receptionion area they mentioned they had a full house the night before so they would check other availability, i was advised there was a spiral staircase at the end of the dining room/bar I could use to gain access to room to avoid so many stairs. Another room sourced, nice clean bright room on first floor so only 20 stairs to gain access. Heating a convector heater which is to one side of the room. Dining area in morning extremely cold, no heating on, could no sit in extreme cold, even staff were cold. Disabled are parking at front of steps blocked by large shrub. Avoid, when you open the door to the hall and reception area it is extremely cold, I know it is an old property but at £140 for two nights I would expect a lot more. Sorry, staff let down by poor standards of Management. Best Western investigate its your name they are trading under. We stayed here for three nights Bed and Breakfast, the staff were courteous, the breakfast was good (prepared the way you asked), we had an early dinner in the restaurant one night which was very good value and the room was excellent. I would definitely recommend this hotel. "Nice hotel but service could be better"
We stayed one night. The room and bath was nice, comfortable and clean, but you had to drag your suitcases up the stairs yourself since there was no lift and we were not offered any help. The dinner was good (I had the slow cooked lamb) but next day we found out we were overcharged one decanter of wine! The full breakfast was slow and greasy and the staff did not clean up the old tables. The parking was good! The staff was very helpfull and friendly. The room had a big bed and it was neat, we loved the beautiful red colour scheme. Bar was open till late and staff was helpful. Breakfast gets the thumbs up. This is the second time we have stayed here and it won't be the last.